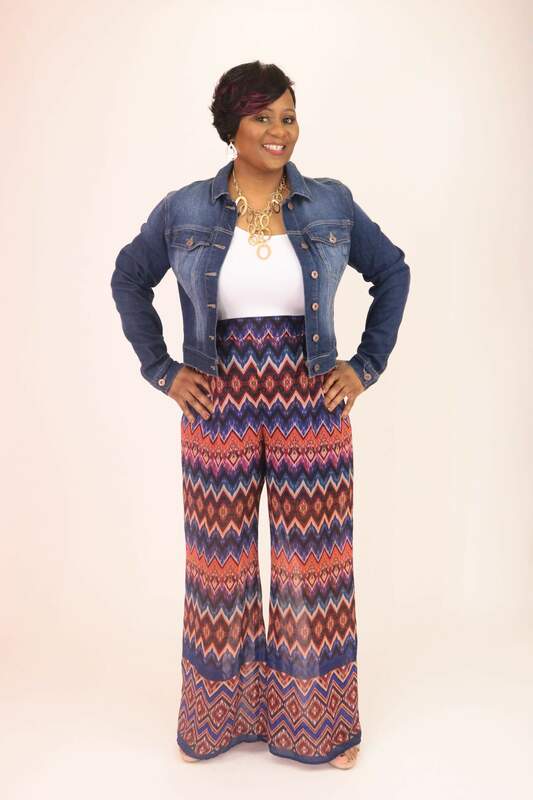 DALLAS — Letitia Scott Jackson took to the airwaves over the weekend for all the right reasons. 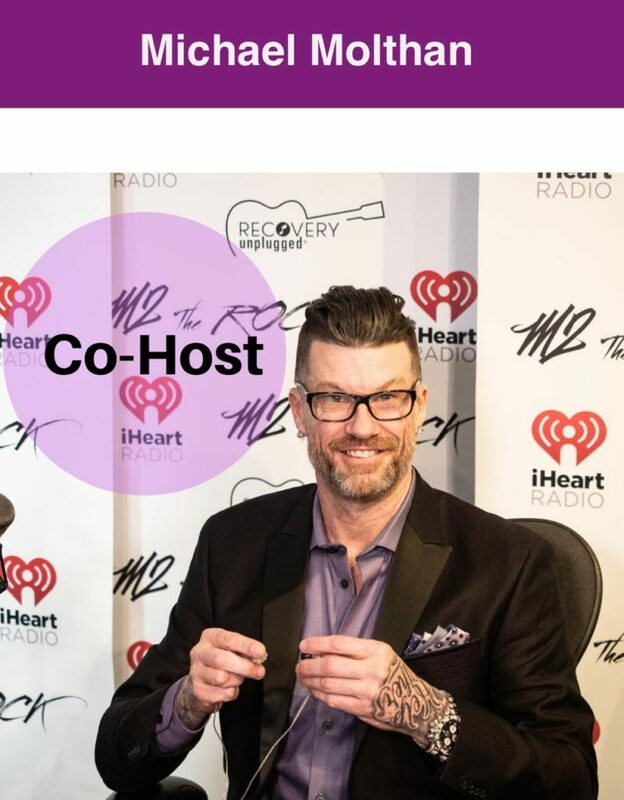 Appearing on Dallas/Fort Worth’s 97.9 The Beat, Scott Jackson wasted little time offering some rather profound, spirited words of encouragement to the station’s thousands of listeners across the Metroplex. 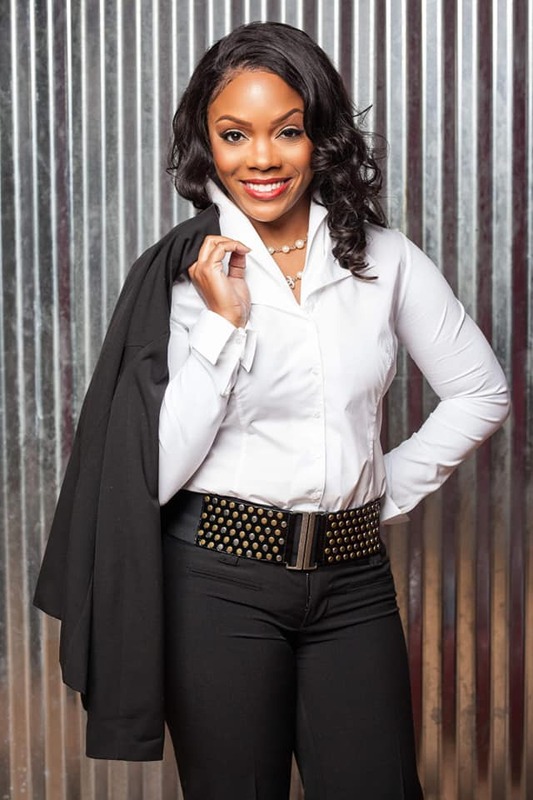 WELCOME TO YOUR NEW SEASON — A Dallas/Fort Worth-based non-profit organization that Leititia Scott Jackson erected approximately four years ago, the strategic mission of Keeping Families Connected is centered in large part on enriching the lives of young people, most notably through events, as well as by way of providing educational resources, mentoring, and counseling services. 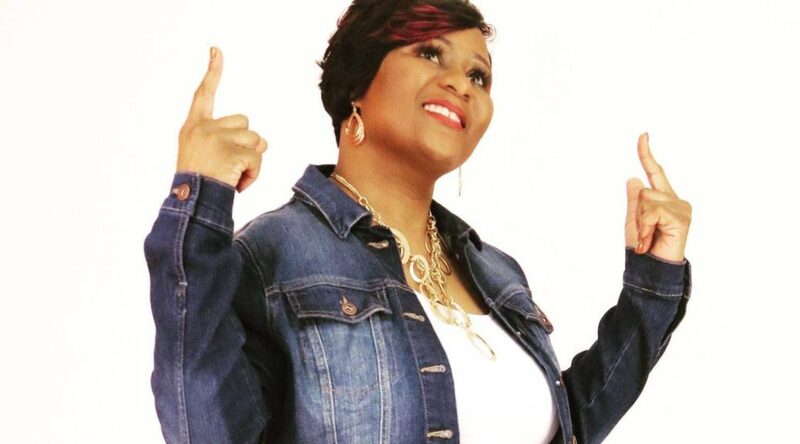 To grasp a thorough concept of why the opportunistic Scott Jackson deems it essential to embrace virtually every opportunity that’s afforded to her, look no further than how God has gone about moving on her behalf during a time when it seemed countless of others had written her off. 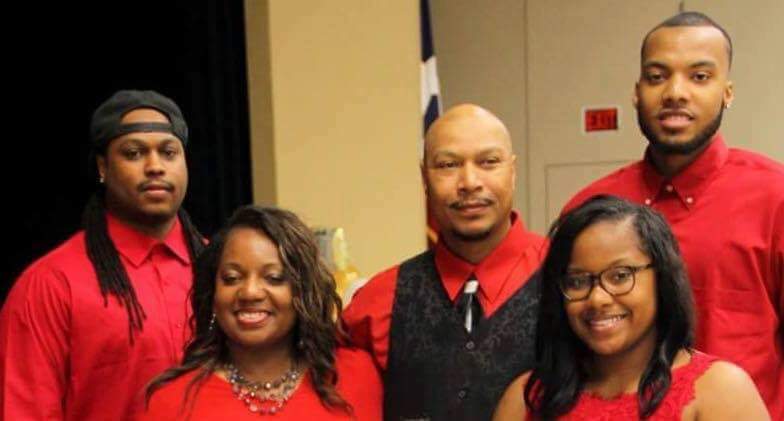 Wrongfully convicted only to wound up emerging victorious during her case that unfolded in the Texas Fifth Circuit Courts, Scott Jackson had become greatly inspired to establish Keeping Families Connected. 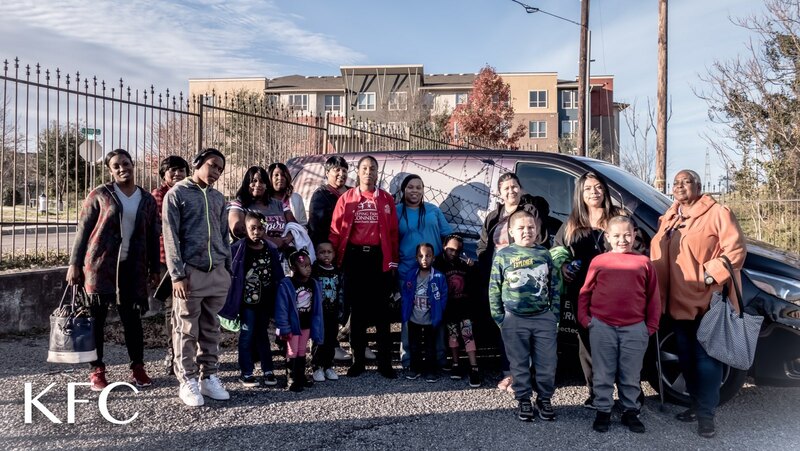 A DFW-based nonprofit organization that Scott Jackson erected approximately four years ago, the strategic mission of Keeping Families Connected is centered in large part on enriching the lives of young people, most notably through events, as well as by way of providing educational resources, mentoring, and counseling services. “We believe that family matters most,” said a spokesperson for this thriving, flourishing nonprofit organization in a detailed overview at https://www.keepingfamilyconnected.org/. 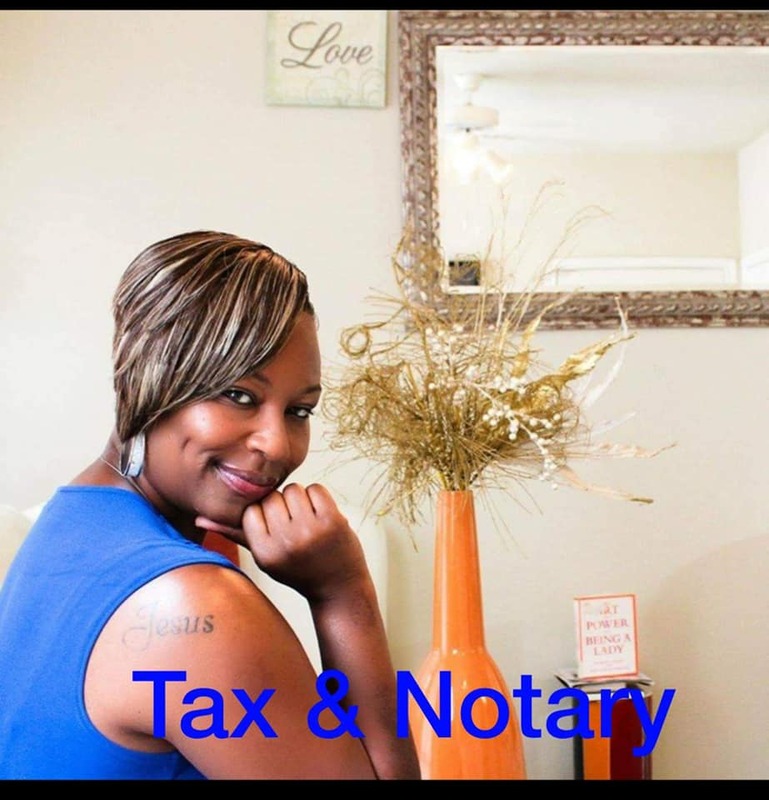 A native of Houston who was raised in Shreveport, Louisiana, Scott Jackson is thoroughly convinced that her organization is steadily becoming a fixture throughout the region but, most importantly, she’s convinced it aligns solely with the purpose for which she was created. 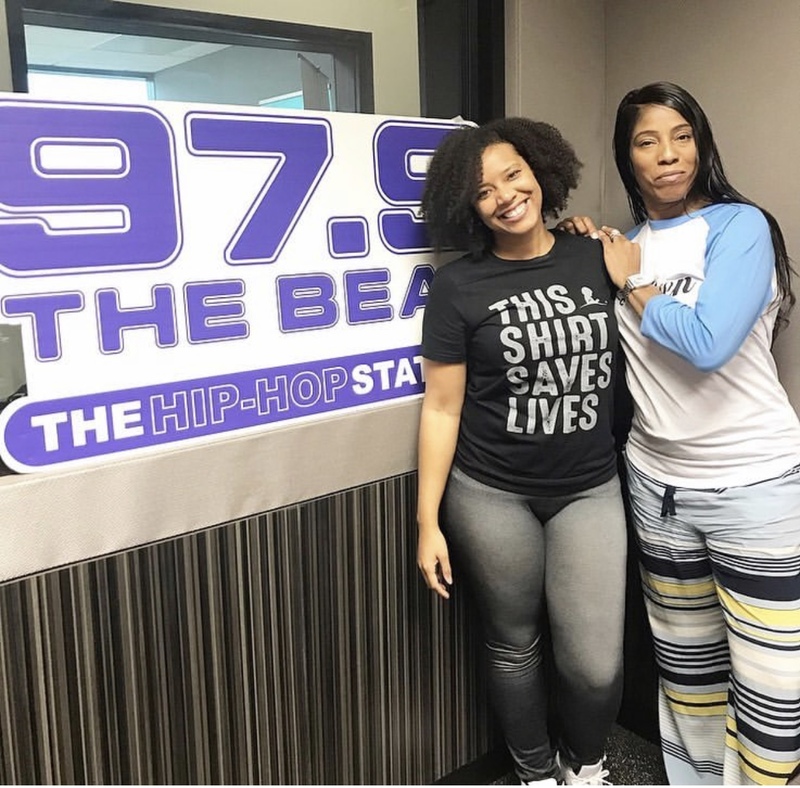 DOING IT BIG IN TEXAS — Appearing on Dallas/Fort Worth’s 97.9 The Beat over the weekend, Scott Jackson wasted little time offering some rather profound words of encouragement to the station’s thousands of listeners across the Metroplex. 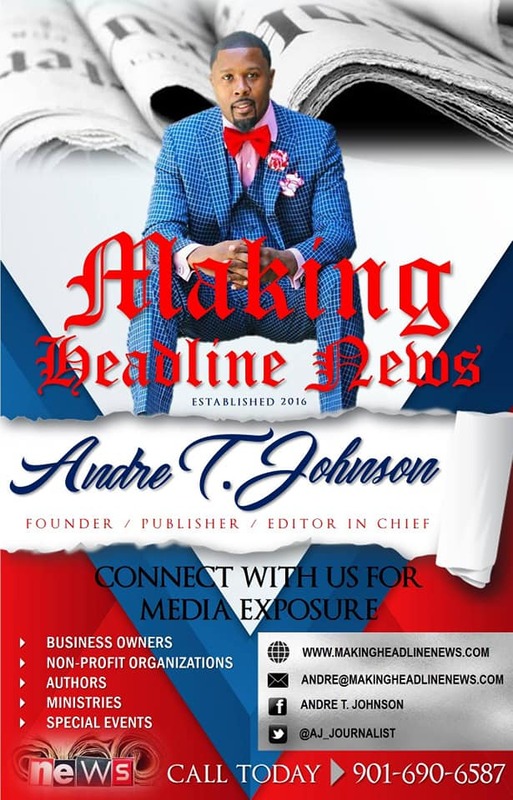 “My mission is for Keeping Families Connected to become a household name worldwide and eventually be able to provide free prison transportation in other states as the need is so great,” Scott Jackson told Making Headline News this week. 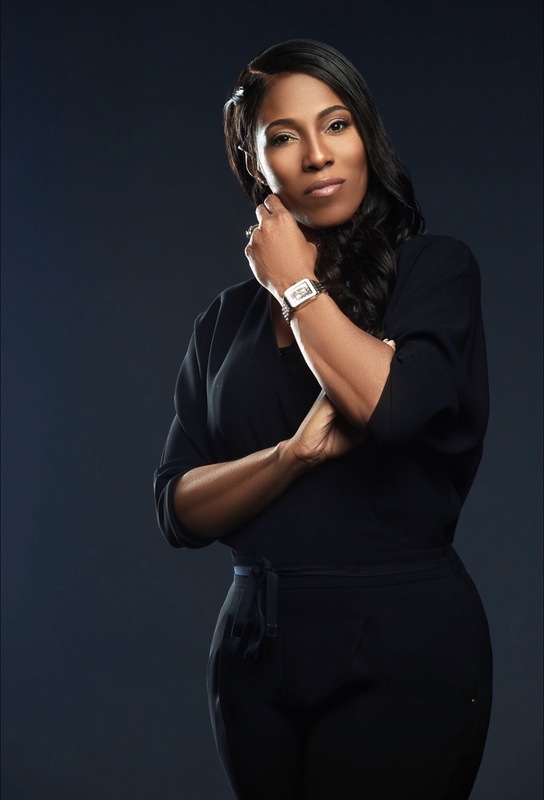 In order to better aid and promote her organization — particularly on national platforms — Scott Jackson has announced that she and her staff will be launching a Keeping Families mobile app, which is scheduled to go into effect as early as June 1, 2019 during its Third Annual Creations of Fashion For A Cause Runway Show. 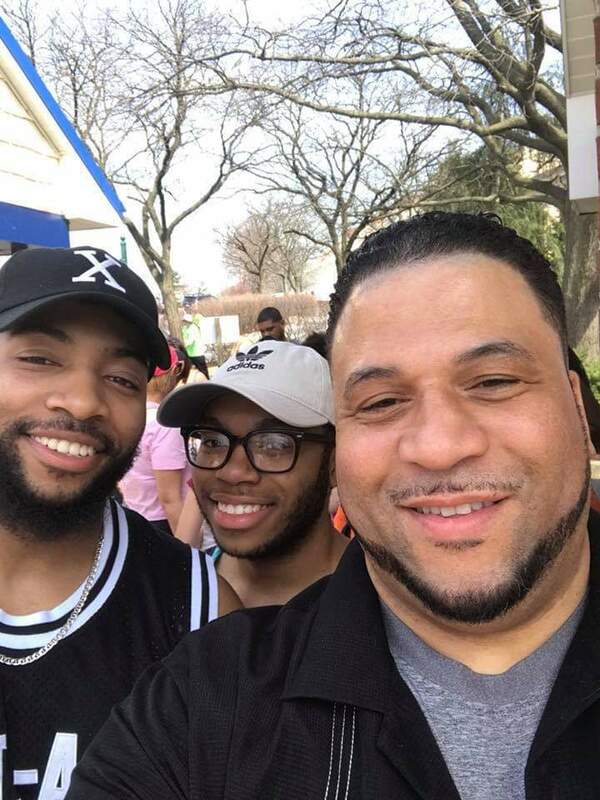 This yearly event, Scott Jackson said, is designed for children from various walks of life, particularly teens and young adults from Keeping Families Connected, during which they will participate in modeling, as well as meet and interact with professional models. 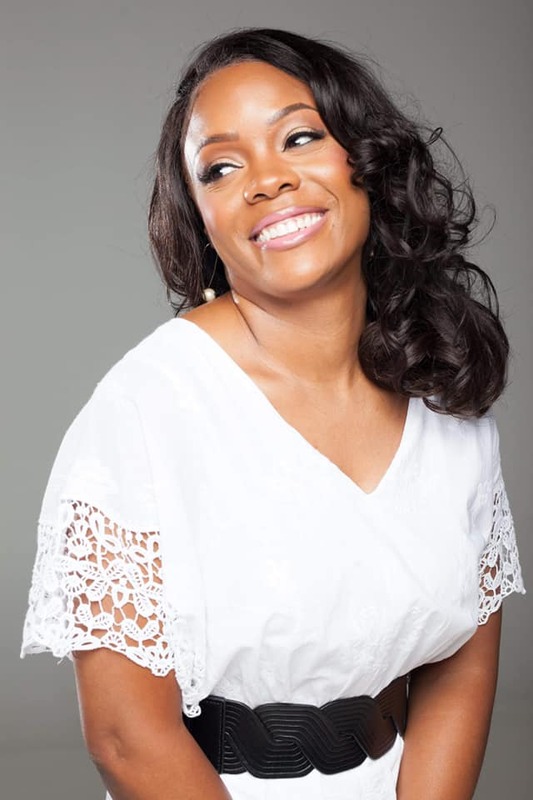 In order for better aid and promote her organization — particularly on national platforms — Scott Jackson has announced that she and her staff will be launching a Keeping Families mobile app, which is scheduled to go into effect as early as June 1, 2019 during its Third Annual Creations of Fashion For A Cause Runway Show. 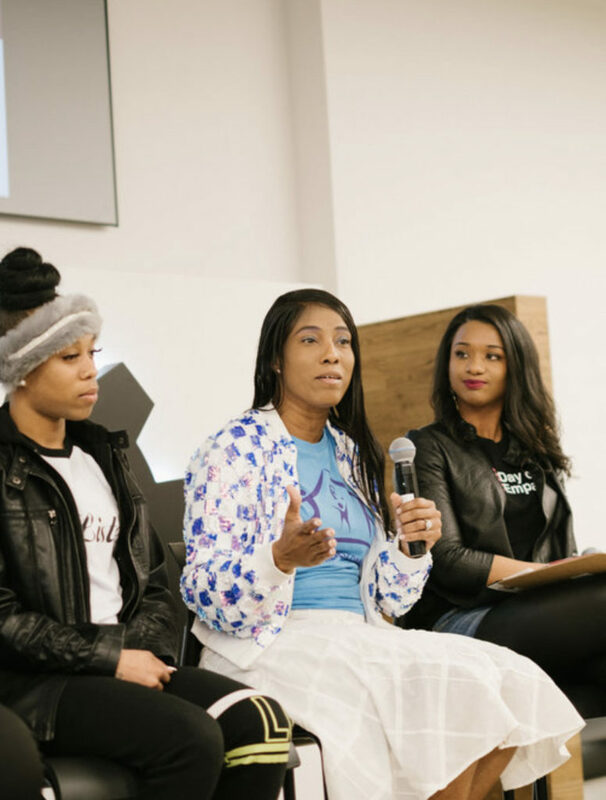 For Scott Jackson, the startup of her organization comes amid arguably the darkest chapter of her life. 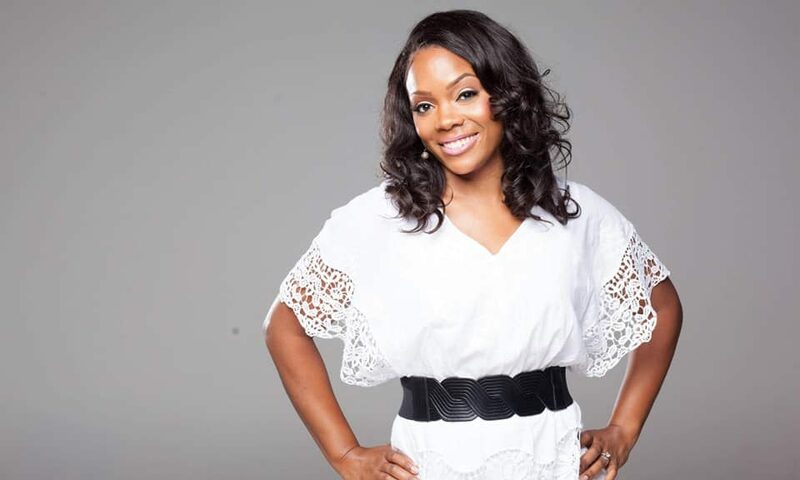 Still, after the dust had ultimately settled and Scott Jackson had emerged victorious by winning her case, it wasn’t long thereafter that God had emphatically showed her why He had entrusted her to endure, yet conquer so much heartache and pain, both of which she emphatically outlasted. 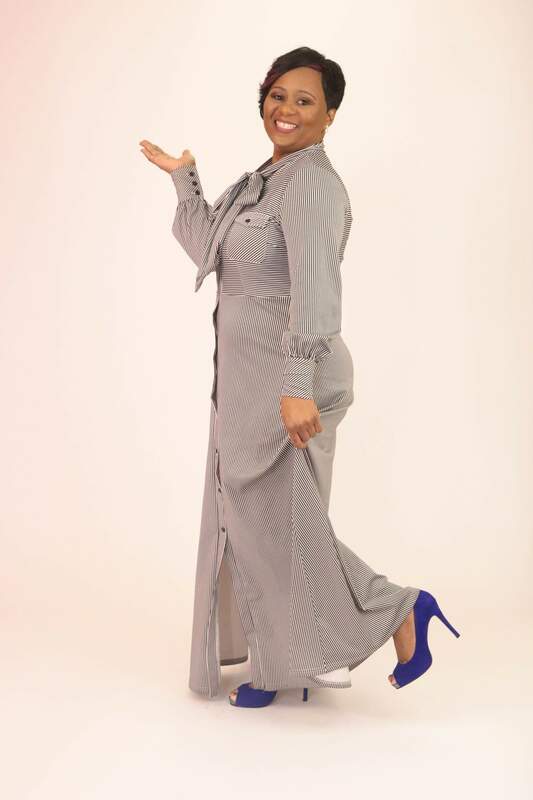 Look at her today, walking fervently in her purpose as an accomplished businesswoman, who’s also widely known as a published author, public speaker, musician, and humanitarian. 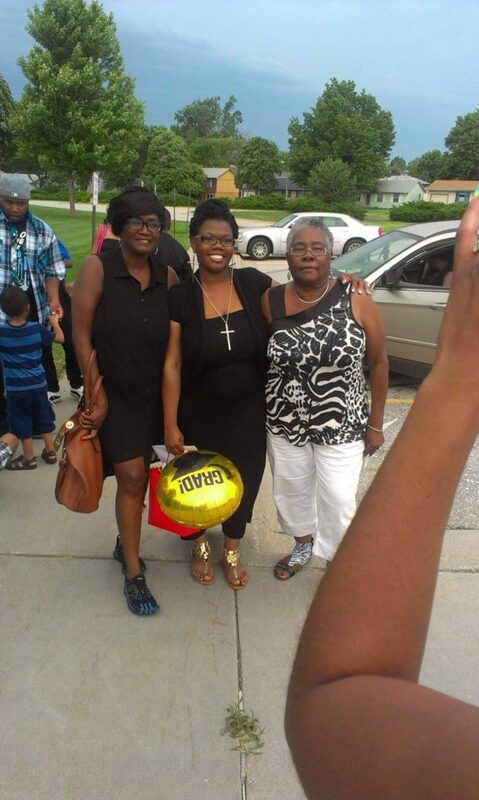 To her credit, she birthed Keeping Families Connected out of “a personal desire,” one that would enable her to customarily make meaningful contributions to the lives of those who are incarcerated while being separated an extended period time from family members. MAKING MUCH NOISE — Interestingly and to her credit, Scott Jackson’s Keeping Families Connected is, by all accounts, an effective institution, considering it’s also committed to rebuilding families and fostering life skills in youth and young adults from broken homes, Scott Jackson emphasized. 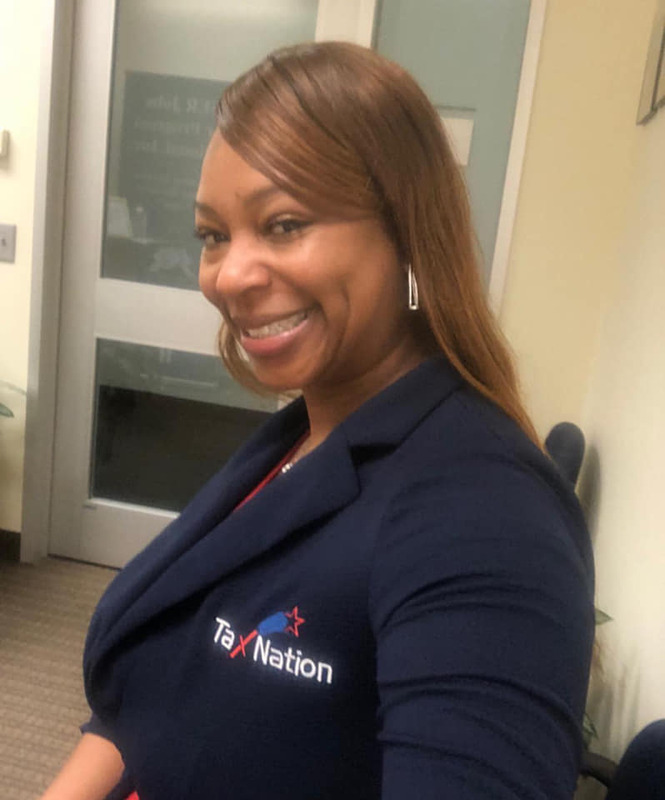 Interestingly and to her credit, Scott Jackson’s Keeping Families Connected is, by all accounts, an effective institution, considering it’s also committed to rebuilding families and fostering life skills in youth and young adults from broken homes, she emphasized. 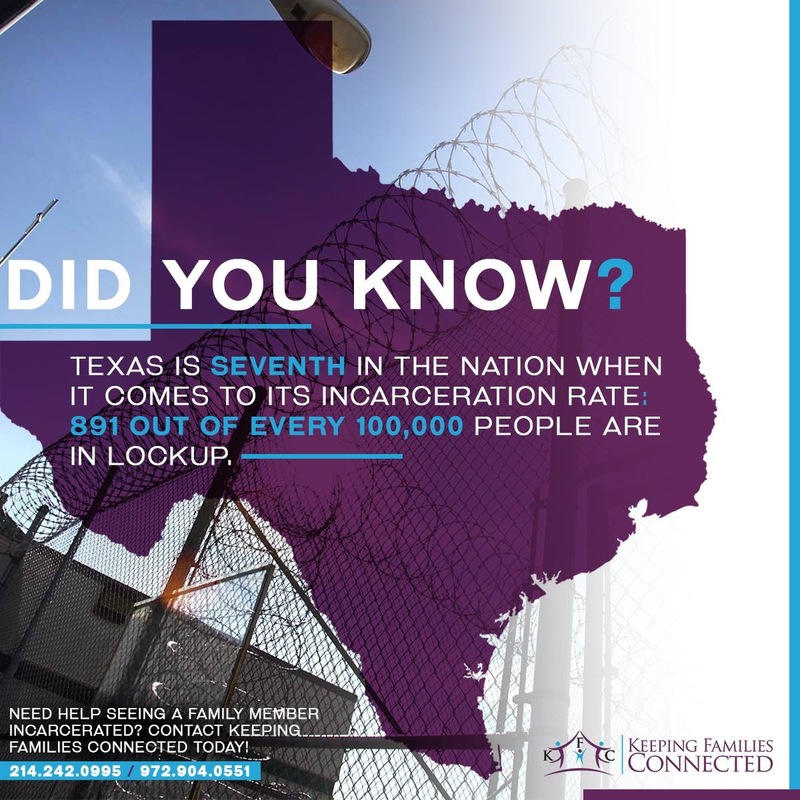 “For four years, we have been providing free breakfast, lunch, and transportation to prison facilities throughout the state of Texas for (people), especially kids that have incarcerated parents and individuals that have incarcerated loved ones,” Scott Jackson said. Talk about being in total alignment with the purpose for which she was created. 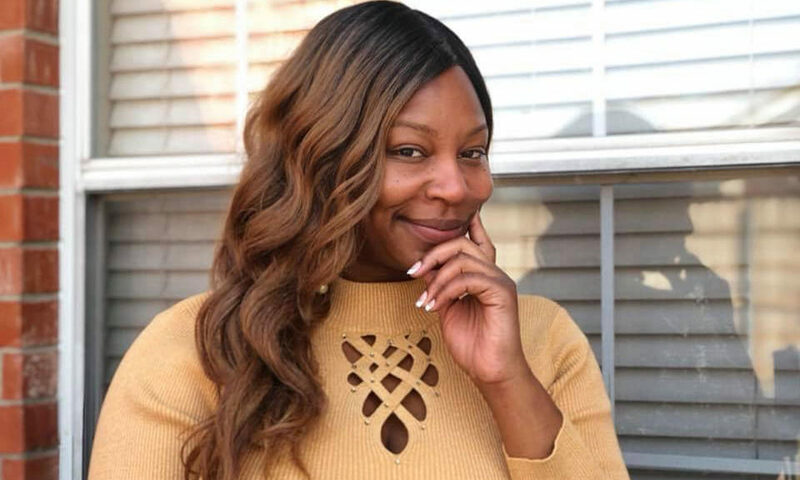 SEASON OF THE REBIRTH — To her credit, Scott Jackson birthed Keeping Families Connected out of “a personal desire,” one that would enable her to customarily make meaningful contributions to the lives of those who are incarcerated while being separated an extended period time from family members. To her credit, she’s doing just that. And, what’s remarkably astounding is that she’s nowhere out of order. 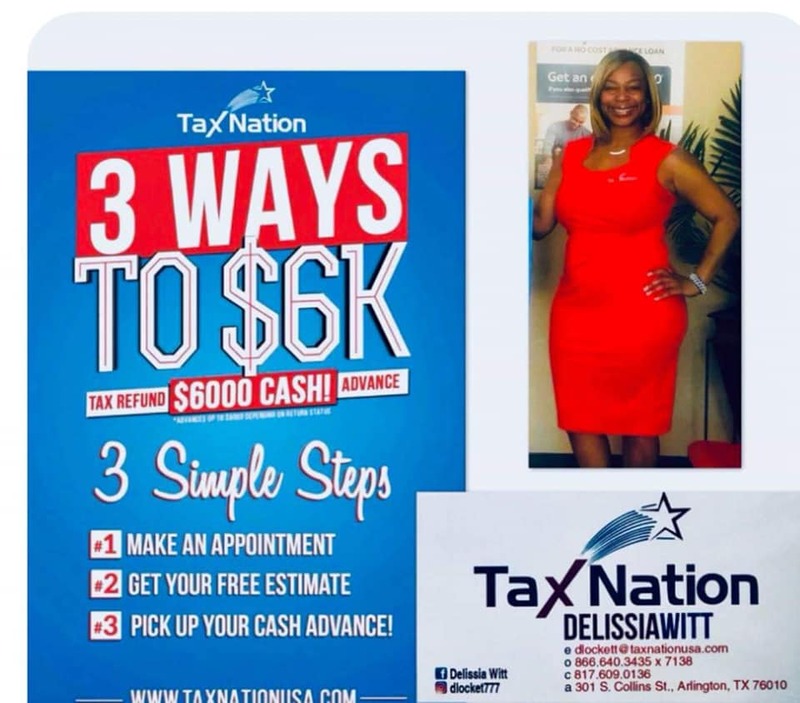 For more information about Dallas/Fort Worth-area Businesswoman Letitia Scott Jackson of Keeping Families Connected, or to schedule her for a public appearance, a book signing or speaking engagement, connect with her via Facebook at: https://www.facebook.com/tetiascott. 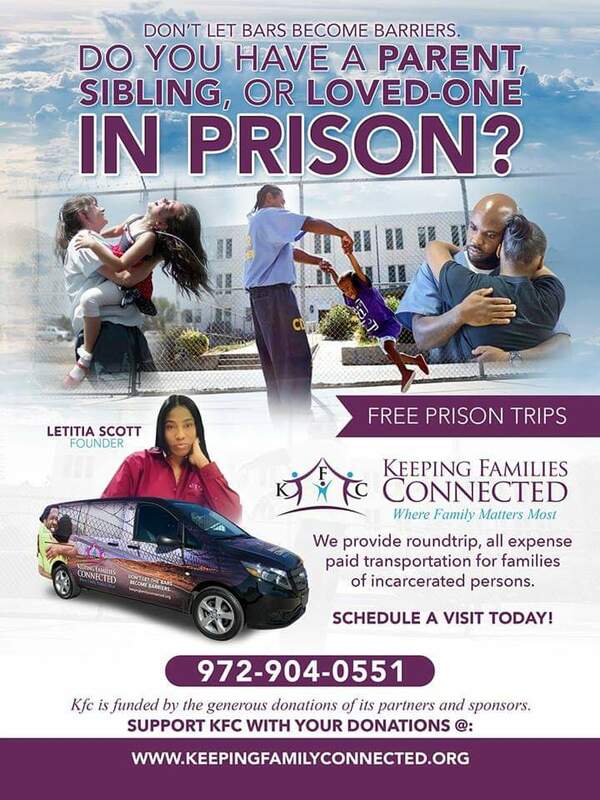 Also, send email to: keepingfamiliesconnected2015@yahoo.com. 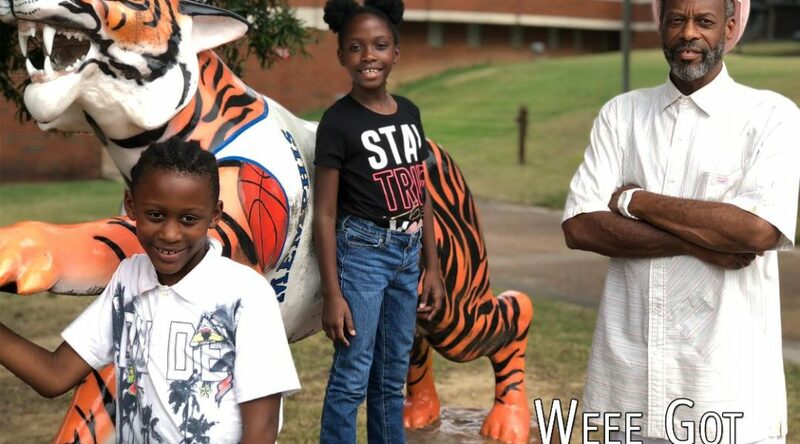 DALLAS — Just a few days ago, Dr. Ronald S Hobson, Sr. found himself reminiscing, among other things, about how his family had gone about making peace with Jesus Christ. Without question, it was arguably the best discovery of his young life. 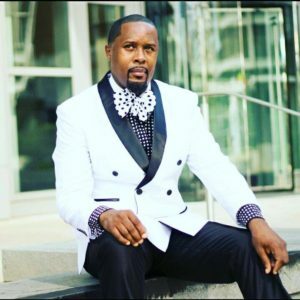 As Dr. Hobson — a Boston-area pastor who’s widely known as Bishop Hobson — explained, it all unfolded sometime after the tragic death of grandmother, during which his family consequently attended the historic Jefferson Temple Church of God In Christ in nearby North Bellport, New York. 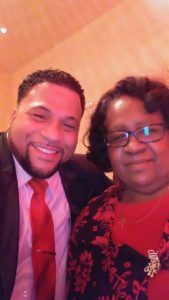 Ironically, Bishop Hobson’s mother, Geraldine Scott, had accepted Jesus Christ as her Lord and Savior, thus setting off what apparently was a spiritual domino effect throughout the Hobson household. 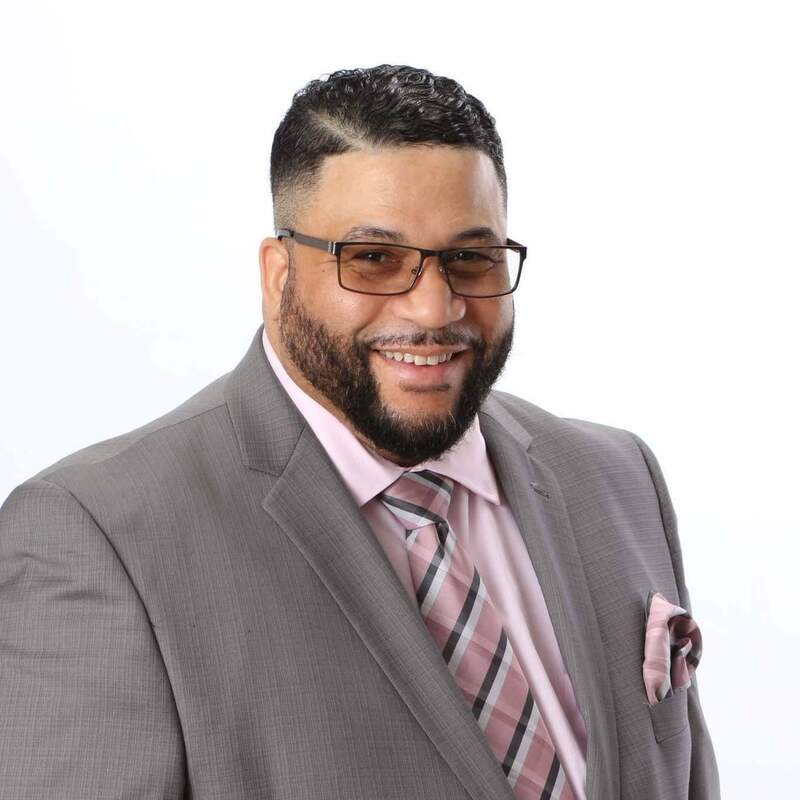 GOD’S MIGHTY SPOKESPERSON — A ministerial calling that spans approximately three decades, Ronald S. Hobson is the Senior Pastor at The Reconstruction Church. 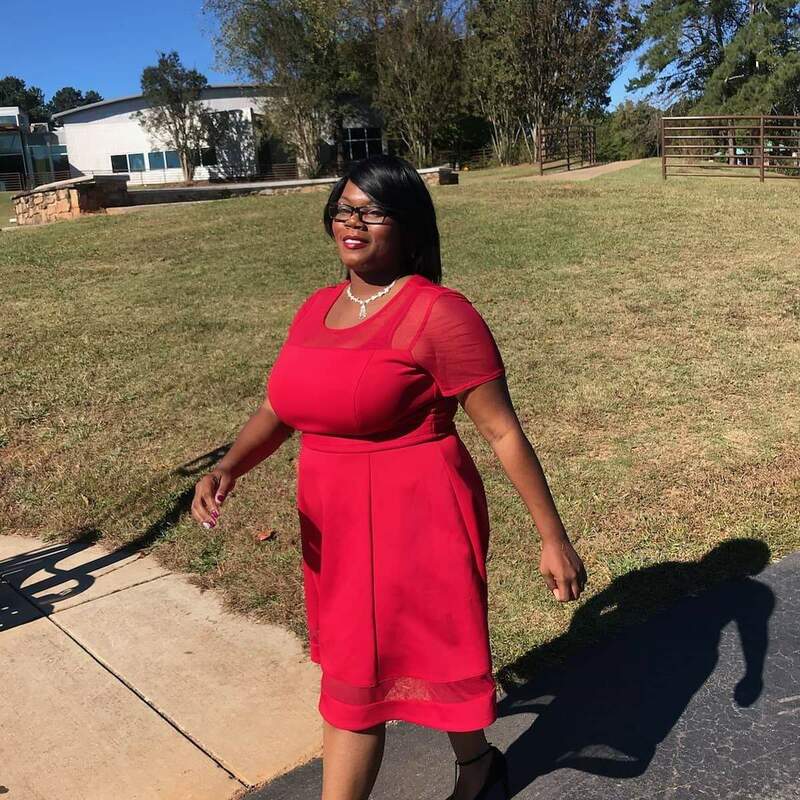 “It was after she accepted Christ that our journey as a family into the Christian faith began,” Bishop Hobson told Making Headline News this week. For Bishop Hobson, witnessing his mother surrender to God proved to be defining moment, of sorts, for an accomplished preacher, whose keen reputation is such that he customarily exemplifies having a heart for people. God’s people, to be more direct. 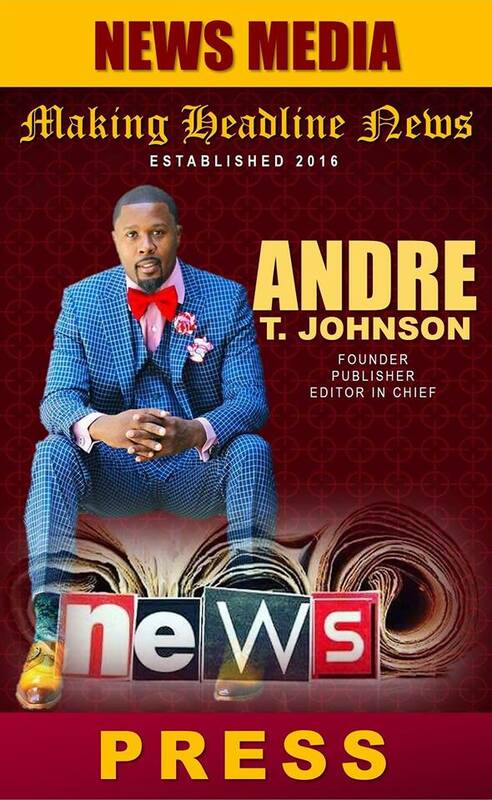 A ministerial calling that spans approximately three decades, Bishop Hobson is the Senior Pastor at The Reconstruction Church. 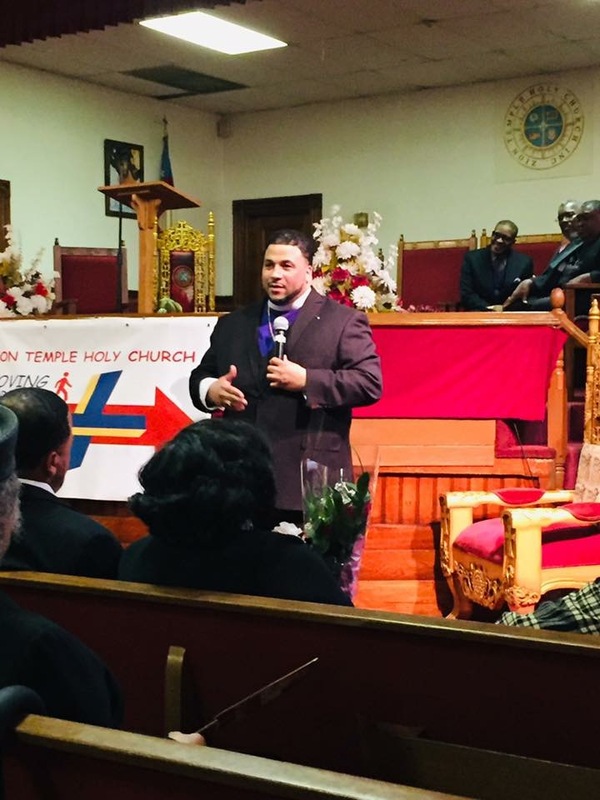 Located at 80 Pleasant Street in Brockton, Massachusetts, The Reconstruction Church has adopted a notable commitment that is centered largely on serving its community through various programs, many of which are geared toward people’s spiritual needs. 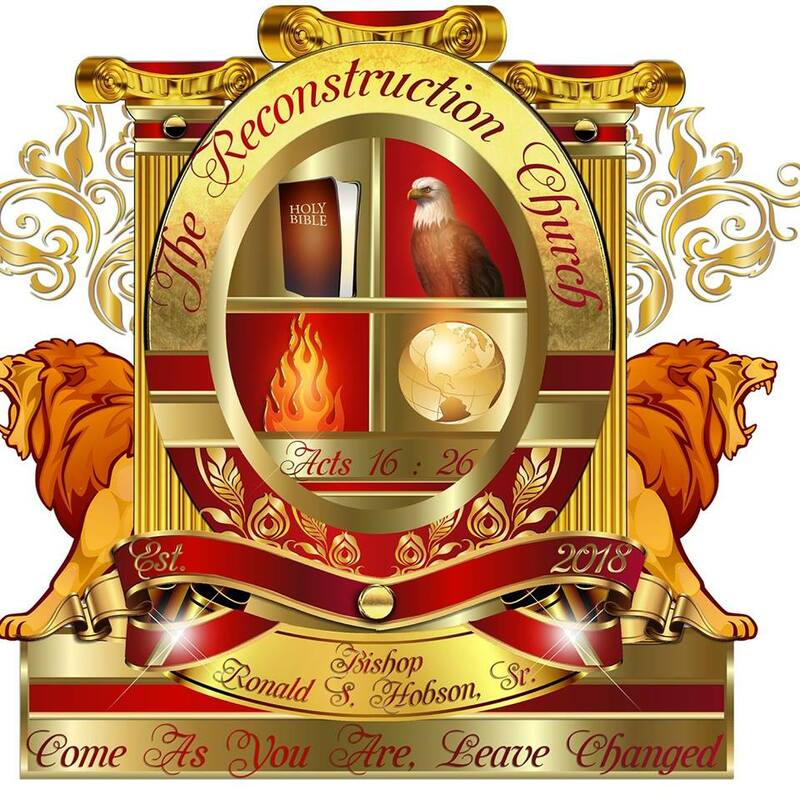 “We are not hear to judge, but to help you change the way you think about your faith,” said a spokesperson for The Reconstruction Church in a detailed introduction of this flourishing ministry at https://thereconstructionchurch.org/. 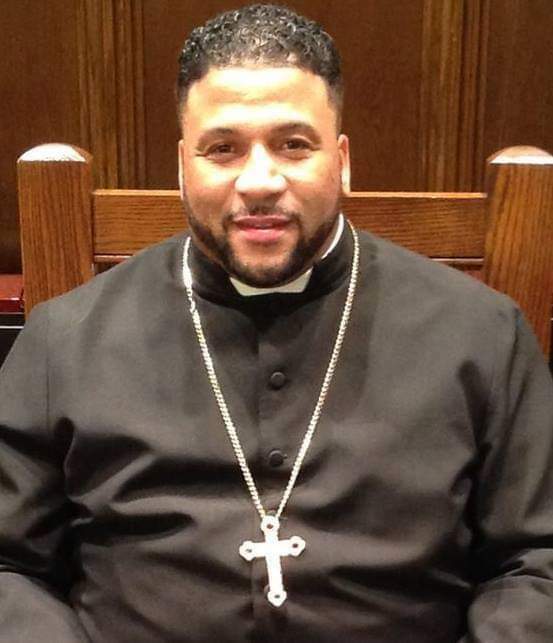 A native of North Bellport, New York — a rural town of roughly 11,545 residents, according to the latest U.S. census — it’s safe to assume that Bishop Hobson, 48, undoubtedly was birthed into ministry. 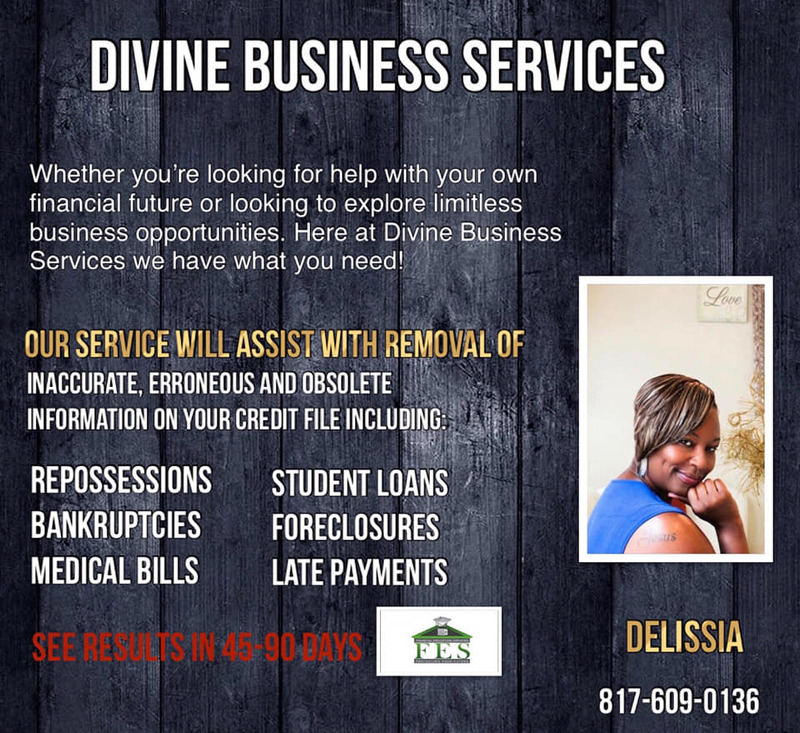 He’s also is a thriving businessman as a credible credit repair specialist. 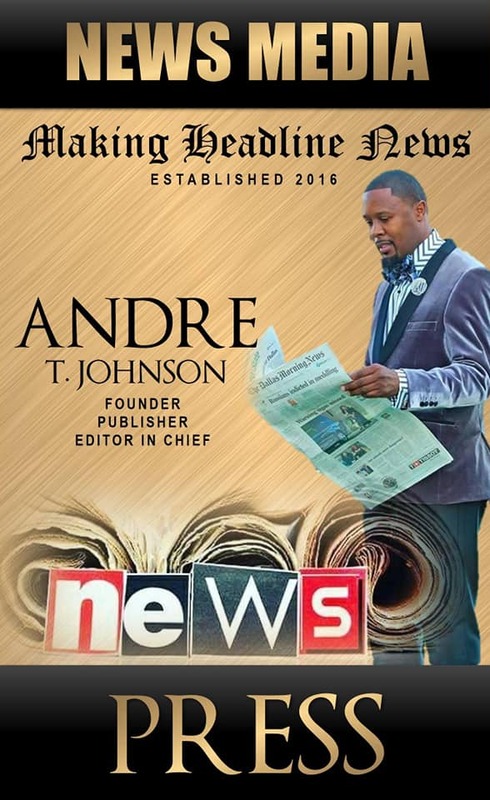 Having always looked up to and admired his pastor, Bishop Ralph L. Jefferson — “I still admire him today,” he often says — it was due in large part to his spiritual father’s unorthodox style of preaching, coupled with what Bishop Hobson describes as his “tenacity in preaching The Word” that greatly fueled his desire to want to follow in his footsteps. PROMOTED BY GOD — Dr. Hobson was consecrated in December 2003 to the Office of Bishopric through the laying on of hands of His Eminence W. O. Kinnings in nearby Philadelphia before being reaffirmed and dually consecrated to the Office of Bishopric and Presiding Prelate of Preachers United Fellowship in August 2006 by the Episcopal Board of Bishops of Alpha & Omega Ministries, Bishop Lee A. Davis (California). Despite the notion that being raised with eight brothers and sisters were both “amazing and discouraging” at times, Bishop Hobson is especially appreciative of the fact this his mother had raised her children to the best way she knew how, though he acknowledged that growing up in what he deems “an improvised community” had its share of challenges. Regardless, amongst the notable factors with which this young preacher had come to grips was that only what he does for Christ will last. So realistically, there was no running from the calling and purpose for which he was created. MOM KNOWS BEST — For Bishop Hobson, witnessing his mother surrender to God proved to be defining moment, of sorts, for an accomplished preacher whose keen reputation is such that he customarily exemplifies having a heart for people. God’s people, to be more direct. 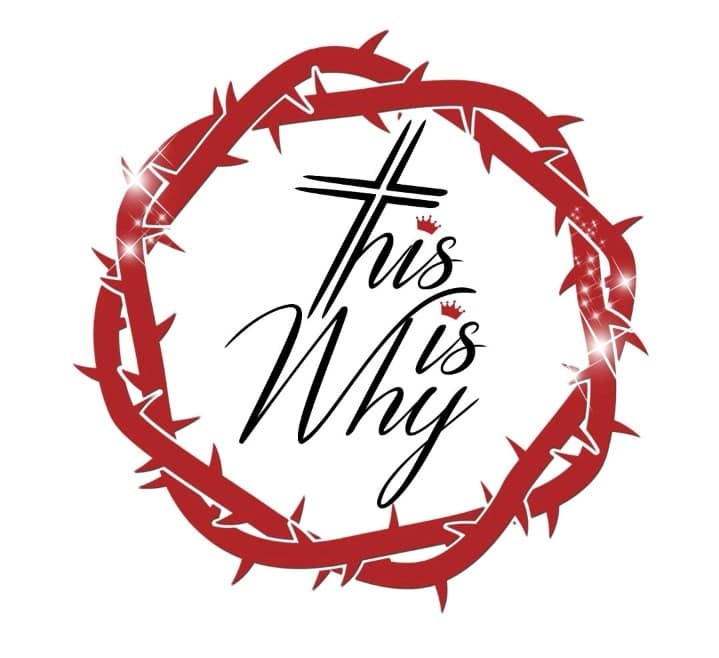 All of which practically sums up why this young preacher from a rural town on Long Island has been set aside for God’s use, all the while steadily having a massive impact in advancing the kingdom for such a time as now. Never mind that according to Bishop Hobson, the awe-inspiring events that had ultimately given way to his divine call to ministry weren’t merely easy, he often recalls. 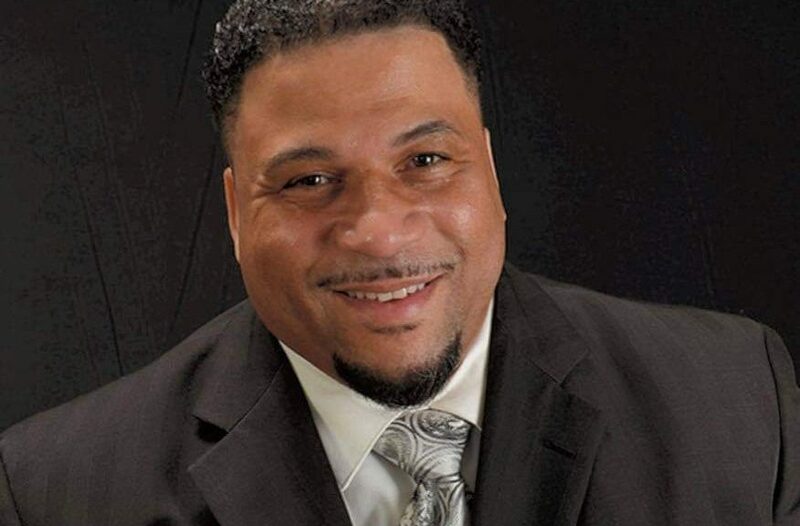 A native of North Bellport, New York — a rural town of roughly 11,545 residents, according to the latest U.S. census, it’s safe to assume that Bishop Hobson, 48, undoubtedly was birthed into ministry. “It was life-changing,” he typically says without hesitation. 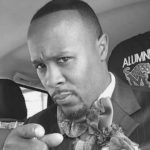 Having officially accepted his calling to preach to gospel at the tender age of 18, this then-teenage preacher found himself standing behind a sacred desk, giving his first sermon in October 1988. He’s been preaching ever since. 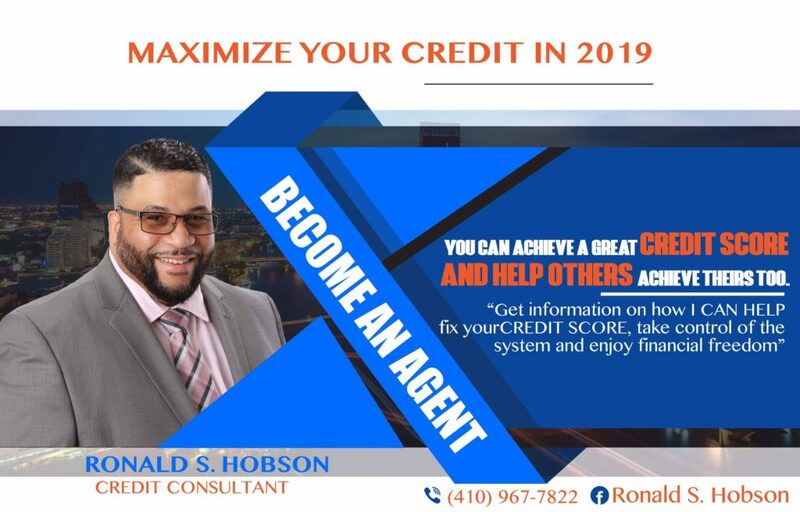 Bishop Hobson also is a thriving businessman as a credible credit repair specialist. He’s been slain in The Spirit ever since. He hasn’t looked back ever since. Credit the fact that He’s been sold out to God ever since. 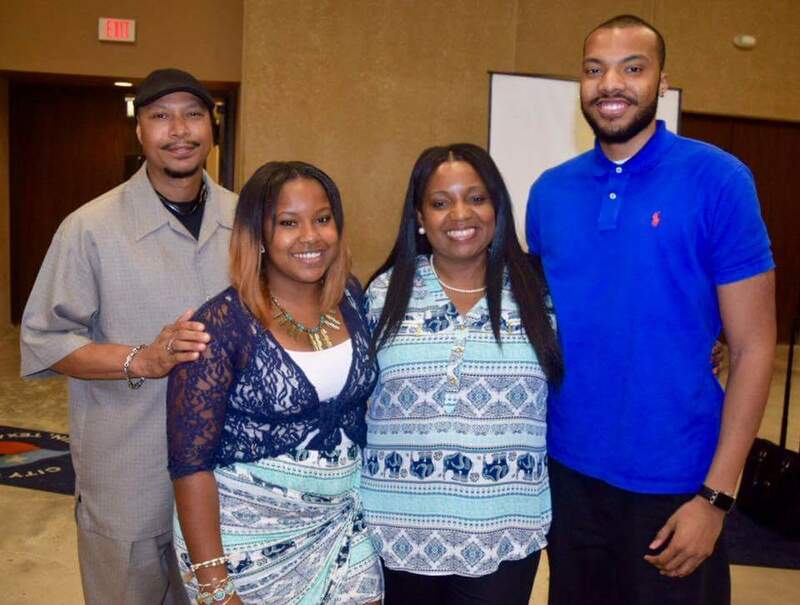 IT’S ALL GOOD — Despite the notion that being raised with eight brothers and sisters were both “amazing and discouraging” at times, Bishop Hobson is appreciative of the fact this his mother had raised her children to the best of her capabilities, though he acknowledged that growing up in what he deems “an improvised community” had its challenges. Pictured with Bishop Hobson are his sons, Ron, Jr. and Christopher. 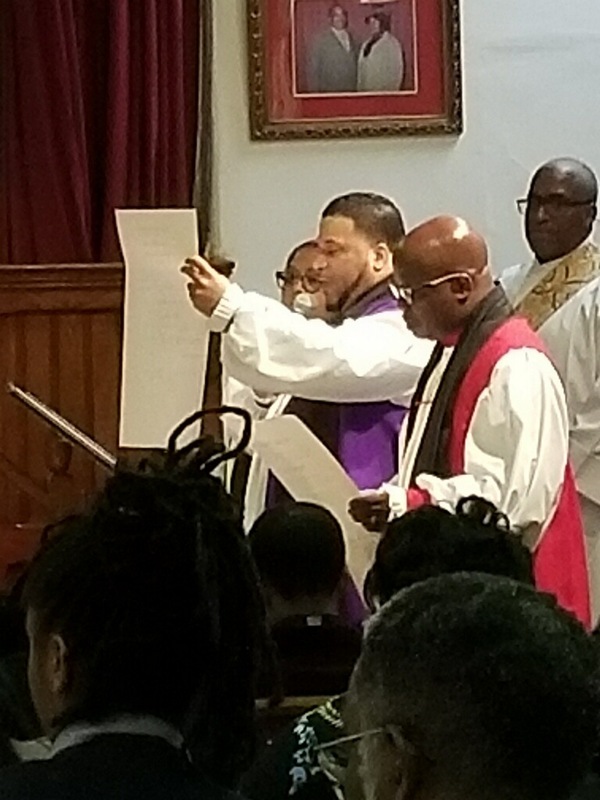 Having become a licensed minister the same year he delivered his first sermon, Bishop Hobson was ordained and installed as a Pastor in October 2002 by Bishop Ralph L. Harmon, Milford, DE. 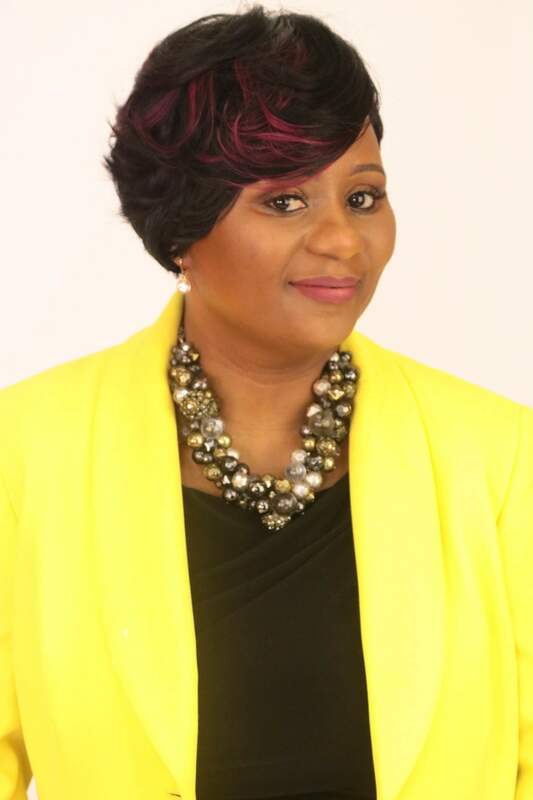 Bishop Hobson’s mother, Geraldine Scott, had accepted Jesus Christ as her Lord and Savior, thus setting off what apparently was a spiritual domino effect throughout the Hobson household. 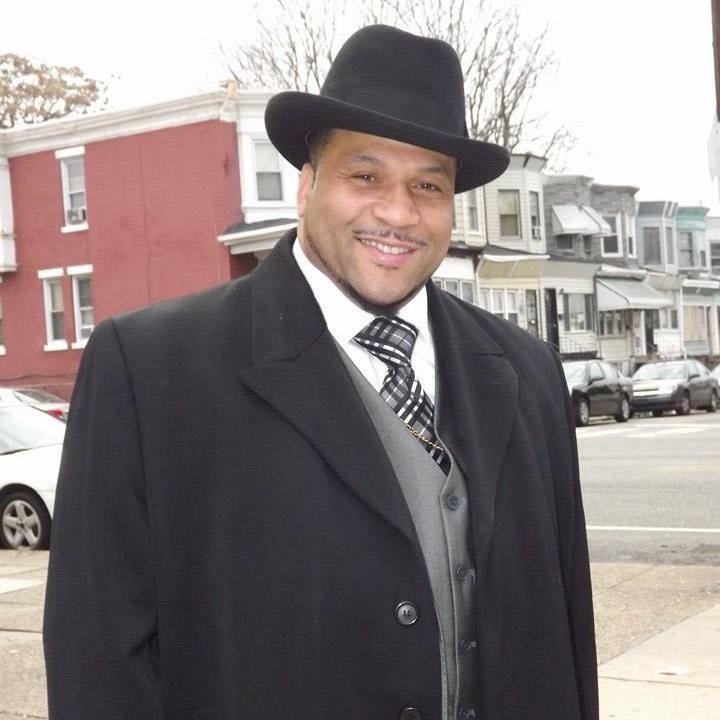 Consequently, he was consecrated in December 2003 to the Office of Bishopric through the laying on of hands of His Eminence W. O. Kinnings in nearby Philadelphia before being reaffirmed and dually consecrated to the Office of Bishopric and Presiding Prelate of Preachers United Fellowship in August 2006 by the Episcopal Board of Bishops of Alpha & Omega Ministries, Bishop Lee A. Davis (California). KEEP ON KEEPIN’ ON — Having officially accepted his calling to preach to gospel at the tender age of 18, this then-teenage preacher found himself standing behind a sacred desk, giving his first sermon in October 1988. All things considered, that, without question, was arguably the best discovering of his young life. 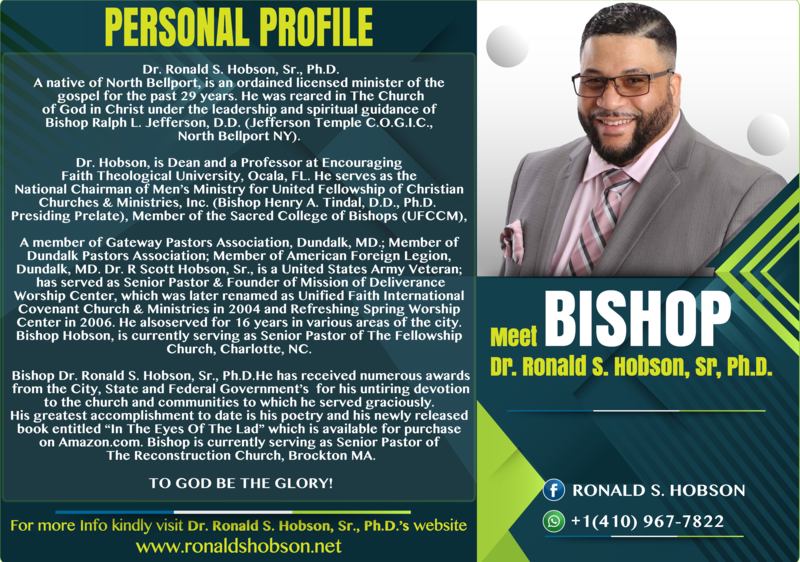 For more information about Boston-area Pastor Bishop Ronald S. Hobson of The Reconstruction Church, or to schedule him for a public appearance or speaking engagement, call 508.556.9796, or connect with him via Facebook at: https://www.facebook.com/The-Reconstruction-Church-1065972230221967/. Her walk with God is somewhat unconventional, to say the least. By and large, McCrae isn’t whom many would deem “your typical” Christian story. 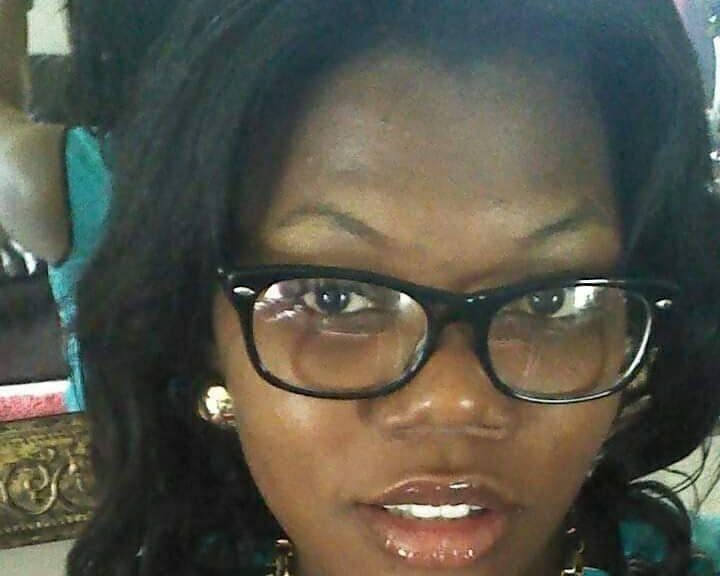 For starters, she was not raised in the church, nor did she grow up in a Christian-oriented community. 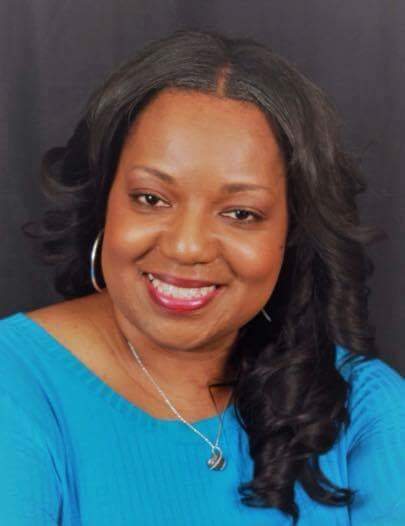 MASSIVE KINGDOM IMPACT — A native of Washington, DC, Kinite McCrae’s “I Am A Christian…This Is Why: A Logical Response To The Skeptic” will make its debut on November 18, a book that will be available for purchase on Amazon.com and on her personal website at https://www.authorkinite.com/. Come to think of it, in fact, she spent her early adult years mostly skeptical about what she described as “organized religion,” not to mention the authenticity of the Bible until she consequently decided to embark upon a rather unorthodox journey, one that was centered on her having studied world religions in a search for truth. What she had eventually discovered was that, well, only what we do for Christ will last. 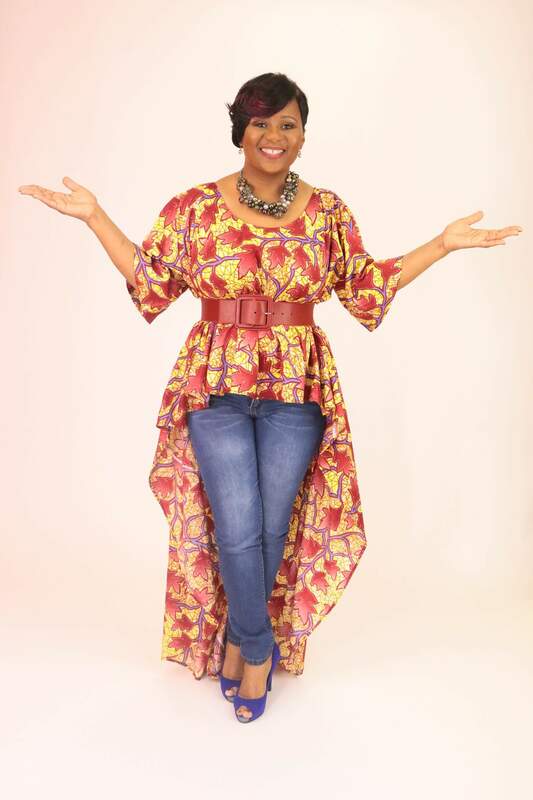 That’s because during her in-depth spiritual journey, she had ultimately come to grips with the notion that Christianity is, in fact, logical and intelligent and that conclusion had eventually given way to her to accepting Jesus Christ as her Lord and Savior. 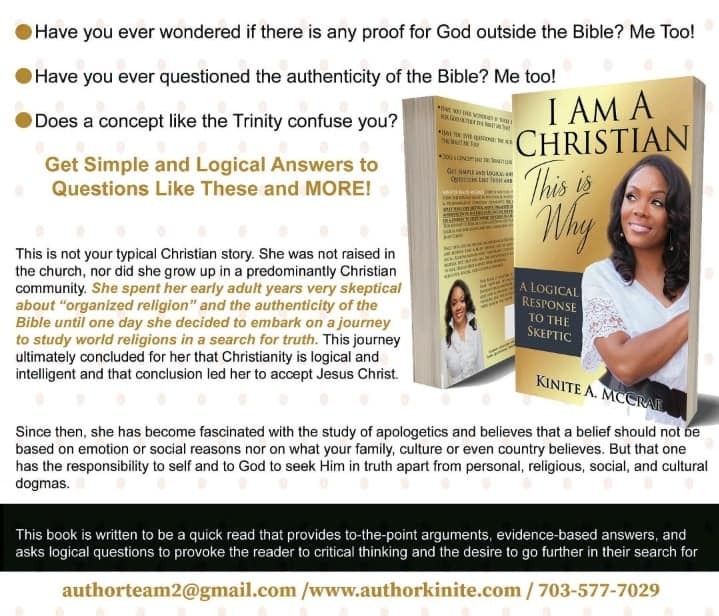 A book whereby God has infused within her the vision to compose some five years ago, McCrae’s “I Am A Christian…This Is Why: A Logical Response To The Skeptic” has been deemed what this writer has dubbed “a quick read,” one that provides what she labels to-the-point arguments, evidence-based answers, not to mention one that raises logical questions as a strategic way to provoke readers to engage in critical thinking, all the while assuming the desire to go further in their search for truth. Much to her delight, McCrae is just days away from witnessing her newly-produced book make its much-anticipated presence on the market. 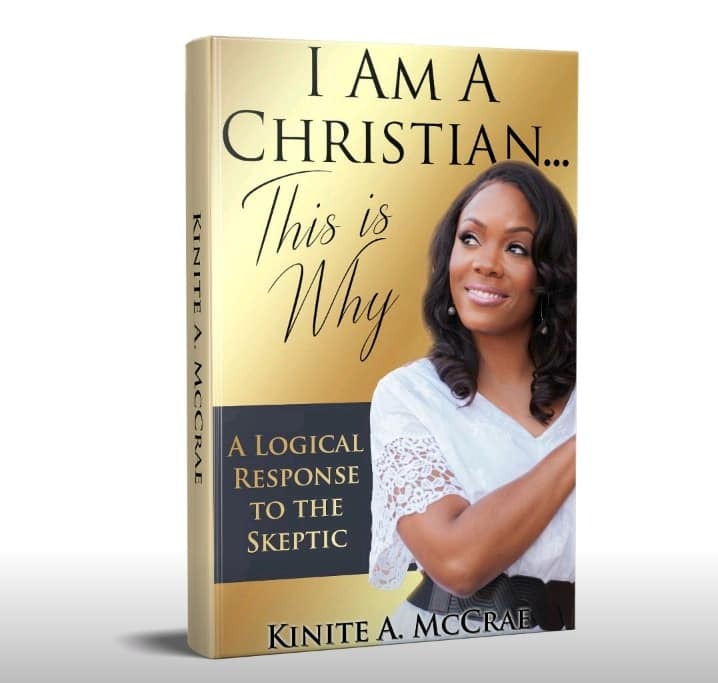 A native of Washington, DC, McCrae’s “I Am A Christian…This Is Why: A Logical Response To The Skeptic” will make its debut on November 18, a book that will be available for purchase on Amazon.com and on her personal website at https://www.authorkinite.com/. For what it’s worth, McCrae has gone to great lengths through her soon-to-be-released book to remind God’s people that we serve an “intelligent God” and an “intelligent Spirit” which means we should be able to defend the faith both intelligently and spiritually, she acknowledged. HARVEST SEASON UNFOLDING — Much to her delight, McCrae is just days away from witnessing her newly-produced book make its much-anticipated presence on the market. 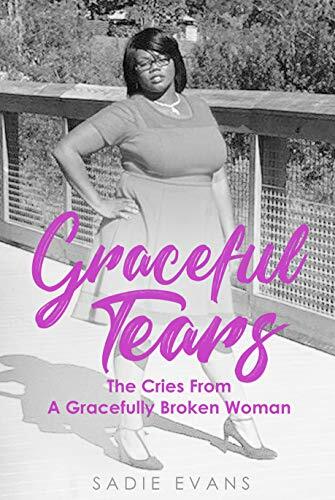 A little less than two weeks away from its official release, McCrae is extremely grateful of the early favorable feedback of her book. Fortunately for McCrae, God has already shown her much favor through a book that has yet to hit the market. 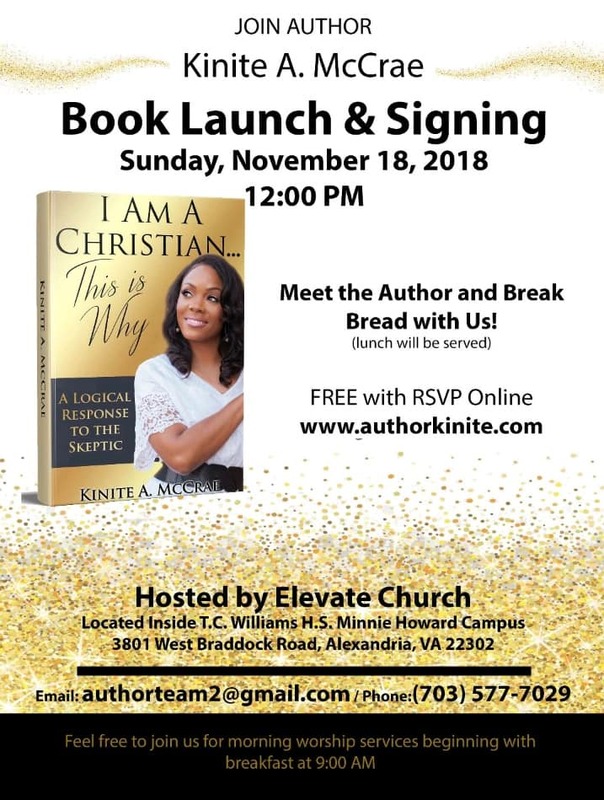 “I’ve already spoken at several conferences leading up to this launch, where I’ve had the opportunity to encourage and exhort woman, men and, youth,” said McCrae, whose official book launch is November 18 at 12 p.m. EST and will be hosted by her church (located at 3801 West Braddock Road in Alexandria, Virginia, inside T. C. Williams High School Minnie Howard Campus). Also, McCrae announced that her forthcoming book is the first of the “I Am” series and that additional written documents are in the works, which will explain what she describes as other Bible difficulties, most notably heaven, hell, and life after death. Never mind that her walk with God has been somewhat unconventional, to say the least. 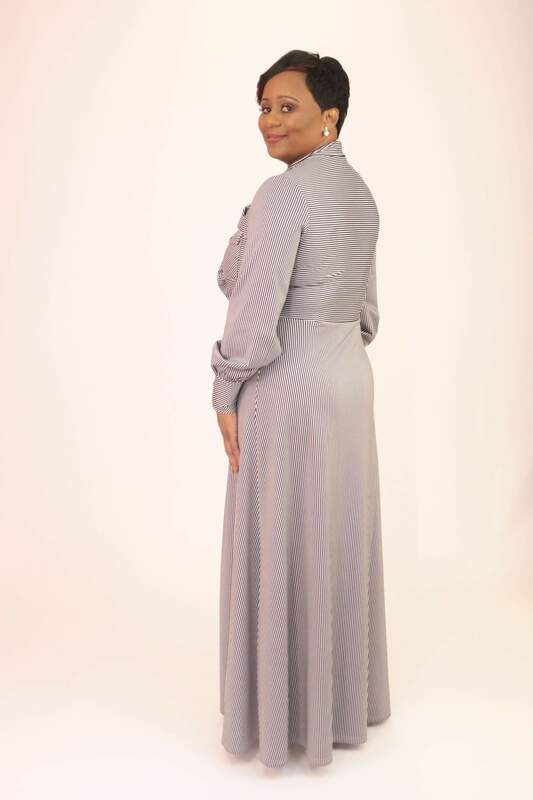 For more information about Washington, D.C.-area Author Kinite McCrae, or to schedule her for a public appearance, a book signing or speaking engagement, connect with her via social media under: Facebook: authorkinitemccrae; Instagram: @kinitemccrae; Twitter: @authorkinite. 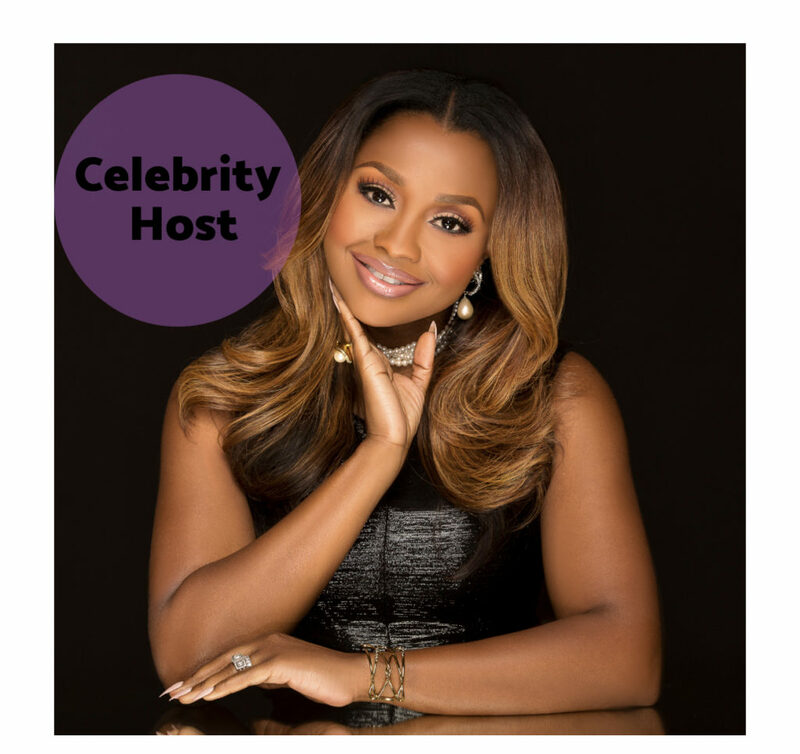 Also, send email to: authorteam2@gmail.com, or call 703-577-7029. 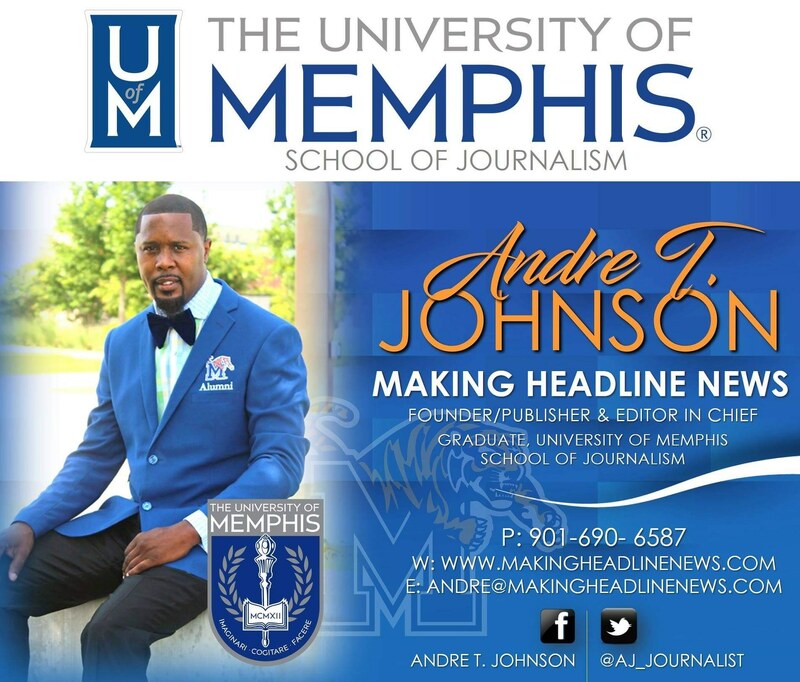 As Anfernee “Penny” Hardaway prepares to begin a new era as the new University of Memphis men’s basketball coach this week when the Tigers host a sold out Memphis Madness in FedExForum, one longtime U of M faithful has something intriguing to pass along to the Bluff City hoops legend. 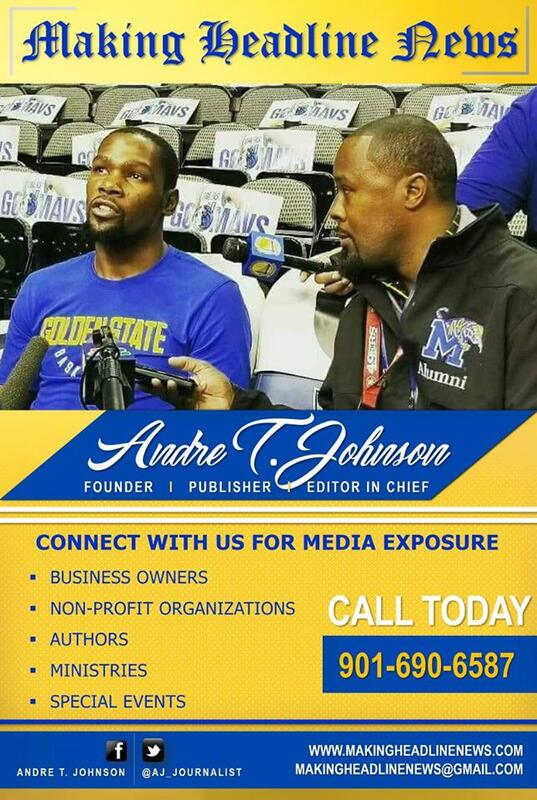 Longtime entertainer Gregory Lofton, a native Memphian, the CEO of Silky International Records and the mastermind behind the hit song, “Tiger Fever,” doesn’t shy away from the notion that he’s determined to garner the attention of Hardaway, a former U of M star and four-time NBA All-Star. 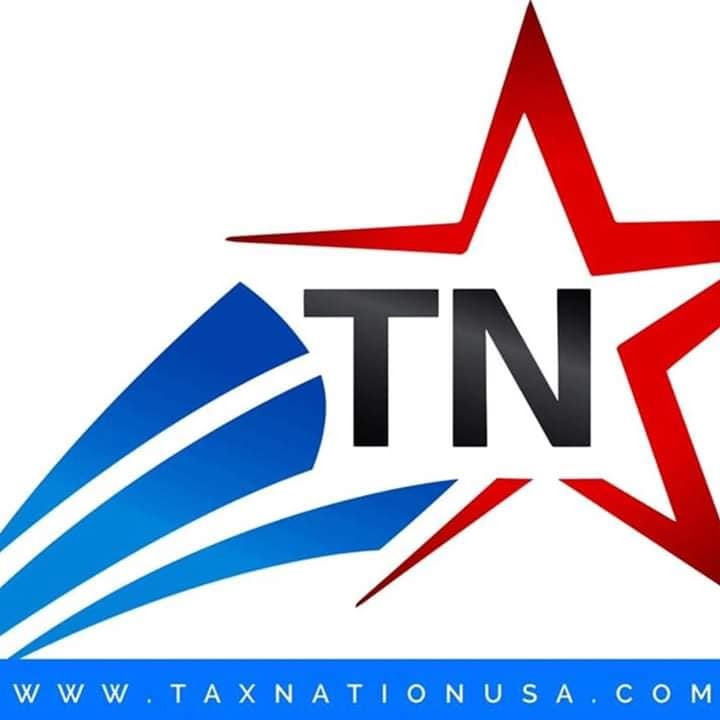 “I want it to be known that a song by an unsigned artist and publisher is worth $250,000 per year to sample and with all monies due according to the copyright act under a master licensing agreement that covers The Penny Hardaway Show, Stadium use, performance and broadcast royalties, CD and DVD production, TV, Movies, Film, etc.,” Lofton told Making Headline News during a recent interview. PENNY FOR YOUR THOUGHTS — Longtime entertainer Gregory Lofton, a native Memphian, the CEO of Silky International Records and the mastermind behind the hit song, “Tiger Fever,” doesn’t shy away from the notion that he’s determined to garner the attention of Hardaway, a former U of M star and four-time NBA All-Star. Lofton, meanwhile, was extremely complementary of one Mid-South radio personality, who deemed it essential to applaud his immeasurable body of work as an entertainer. 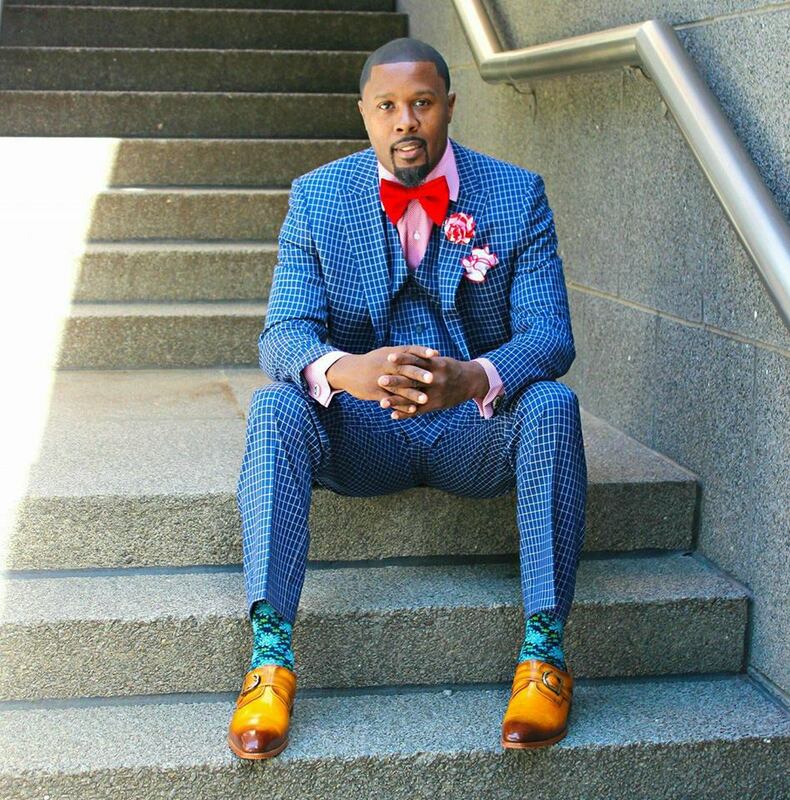 According to Lofton, Rainey had gone as far as to play Tiger Fever during Memphis’ NCAA Final Four run in 2008, a sequence that ended with the Tigers losing to Kansas in overtime, 75-68, in the championship game. 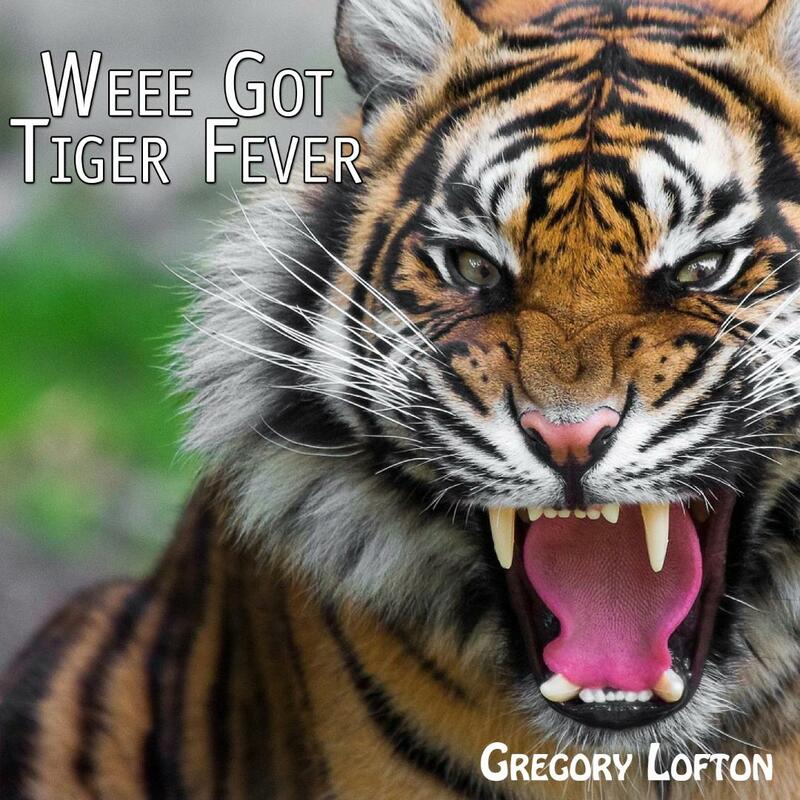 “(Rainey) used Tiger Fever to open his show and played several snit bits of it within the first hour of the show,” Lofton said. 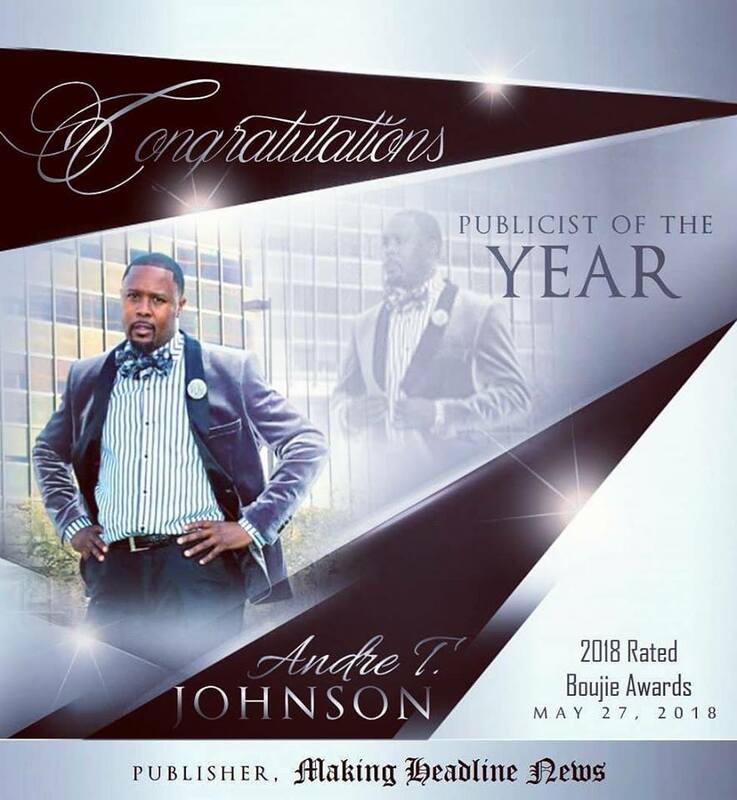 Now with the Hardaway coaching era looming, coupled with all of the hoopla surrounding Tiger hoops, Lofton remains hopeful that the former Memphis Treadwell High star will follow Rainey’s lead and tune in to his compelling musical project. 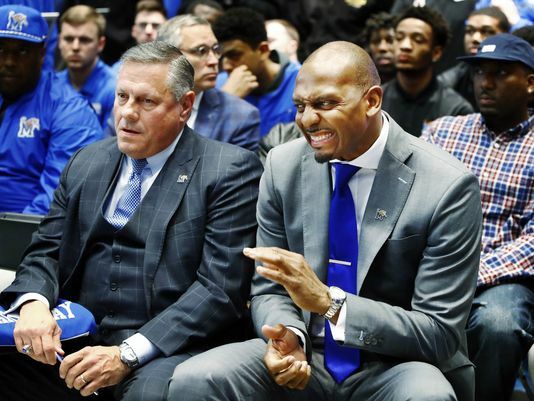 Hardaway, 47, was hired as head coach by his alma mater on March 19, having replaced Tubby Smith, who was fired after two seasons at Memphis. Lofton was rather forthright in his proposition to Hardaway. All of which is why he has extended a plea to Hardaway to strongly consider listening to what could very well become an enjoyable and fun trend for U of M sports fans. Along with his direct proposition to Hardaway to assume copyrights of his work, Lofton is pleading with the local media to look into his music. 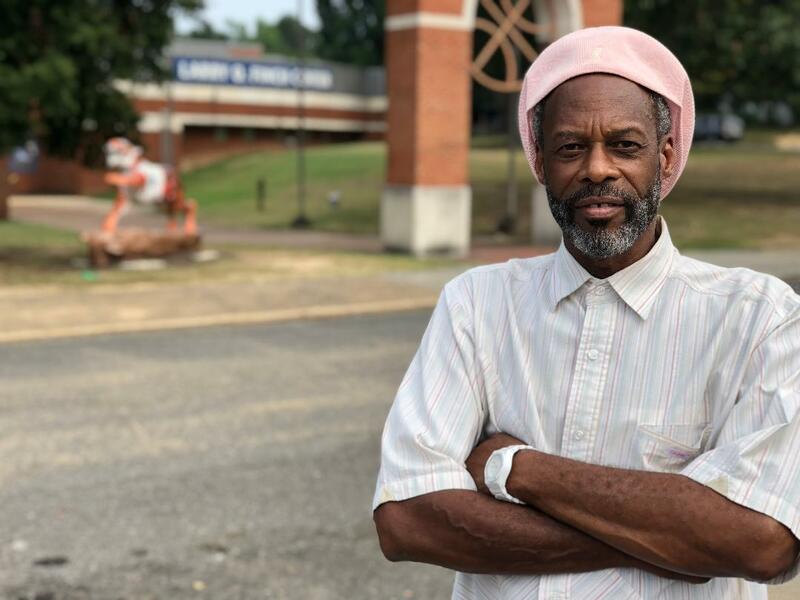 “The Memphis media — even though they never did a story on me — know about my work,” Lofton said. 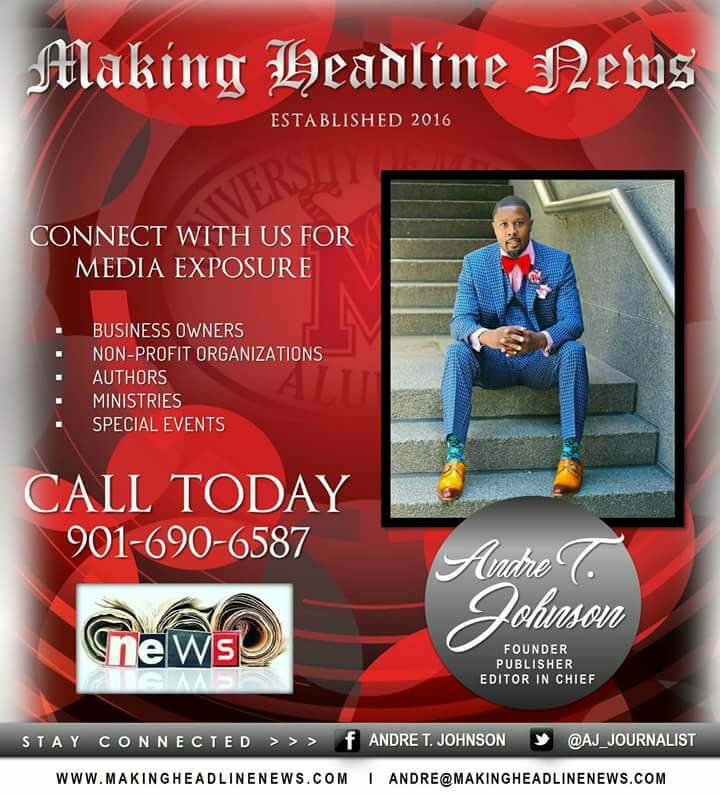 For more information about Memphis Businessman Gregory Lofton of Silky International Records or to inquire about his music, call 901.474.9209. 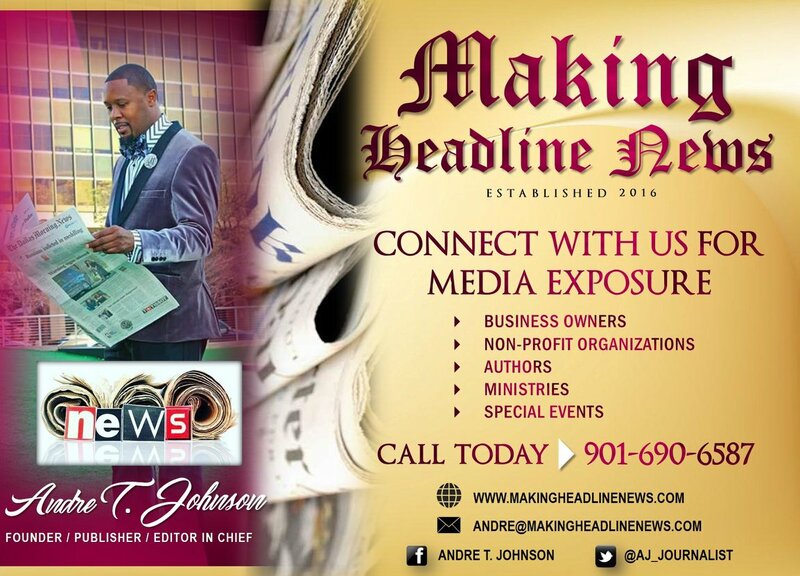 Also, send email to: gregorylofton@ymail.com. 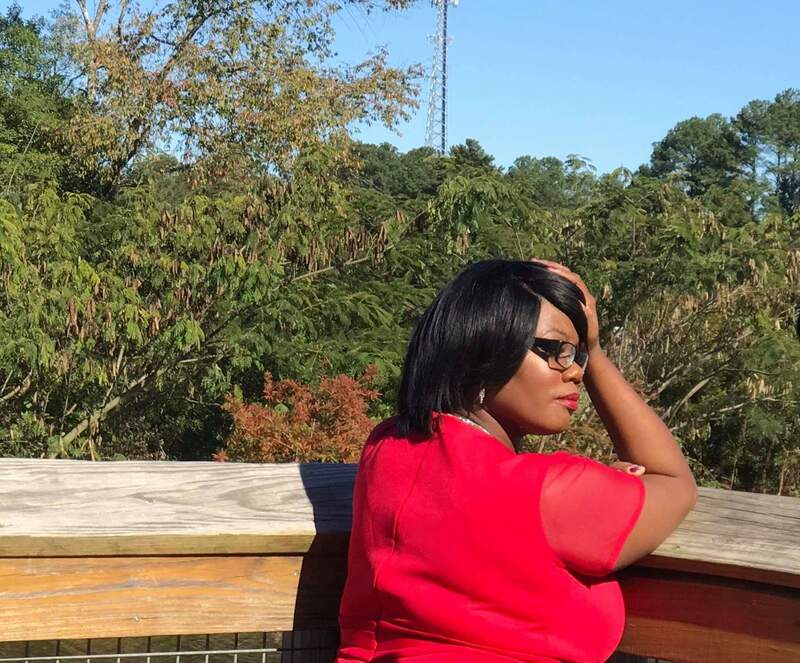 DALLAS — For the record, writing has not been one of Tammie Lewis Mask’s strength. To her surprise, that all changed some three years ago. That’s because after having been dealt arguably the greatest setback, arguably the most disastrous encounter, arguably the darkest hours she had ever envisioned in her life, Mask — for a lack of better words — was empowered and equipped to remove the mask from her apparent hidden talents as a writer. Fortunately for Mask and her family, they found out firsthand that God, as mighty and majestic and sovereign He is, is One Who’s still the Chief Executive Officer of the miracle-working business. 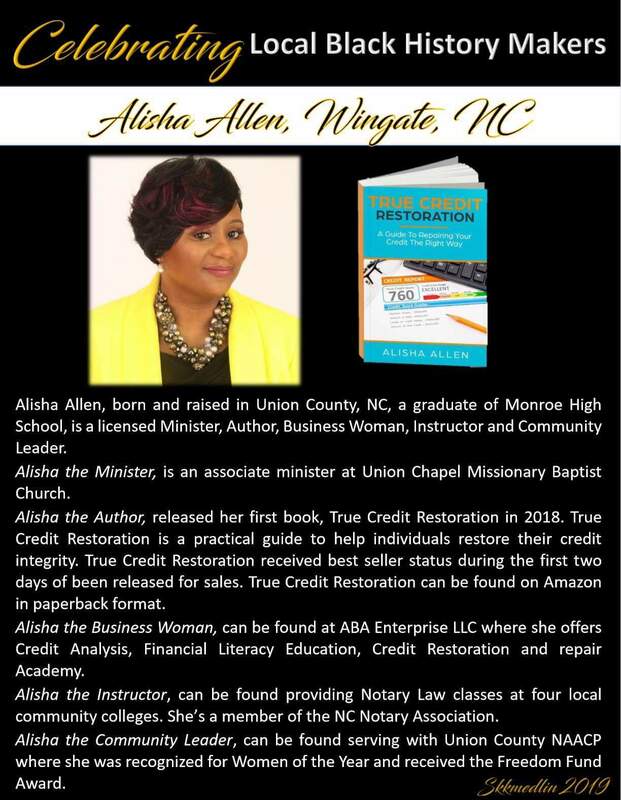 IF GOD BE FOR US — Fortunately for Mask and her family, they found out firsthand that God, as mighty and majestic and sovereign He is, is One Who’s still the Chief Executive Officer of the miracle-working business. That’s because Tammie Mask paid witness to a dramatic comeback for the ages when her then-20-year-old son, Stephen Mask, collapsed during a competitive football game and subsequently went into cardiac arrest. As if such a development wasn’t enough to send shock waves through the Mask family, Stephen Mask, according to doctors, was left without a pulse for an extended period of time. Stephen, in fact, had all but expired, had all but died, had all but unceremoniously passed away and bid his beloved family an untimely farewell all too soon. SAVING STEPHEN — Stephen Mask (left), according to doctors, was left without a pulse for a lengthy period of time. Stephen, in fact, had all but expired, simply died, simply passed away all too soon. 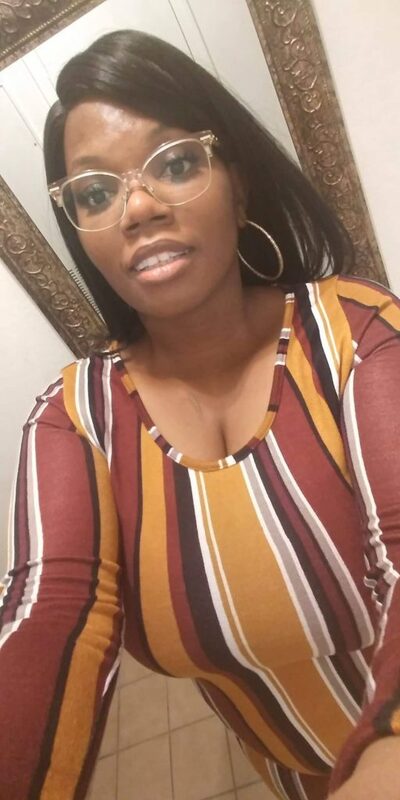 BUY TAMMIE’S BOOK NOW: https://www.amazon.com/Another-Slam-Dunk-Tammie-Lewis-Mask/dp/1498493351/ref=redir_mobile_desktop?_encoding=UTF8&keywords=another%20slam%20dunk&qid=1490101819&ref_=mp_s_a_1_1&sr=8-1. 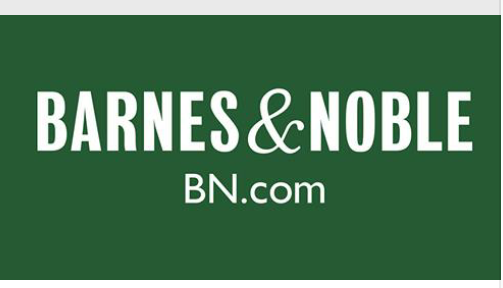 Tammie Mask’s inspiring book can also be purchased at Barnes & Noble online at BN.com. 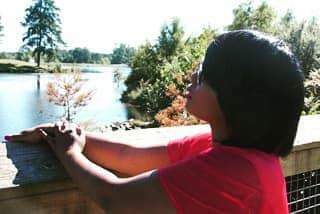 Regardless, what Tammie Mask had ultimately come to realize and embrace was that even when we are gripped and bound and spiritually imprisoned by what seemingly are life’s grandest obstacles and hurdles, God will always have the final say. If nothing else, He revealed Himself unlike never before in the life of Tammie Mask, particularly when it seemed that her son was all but gone. 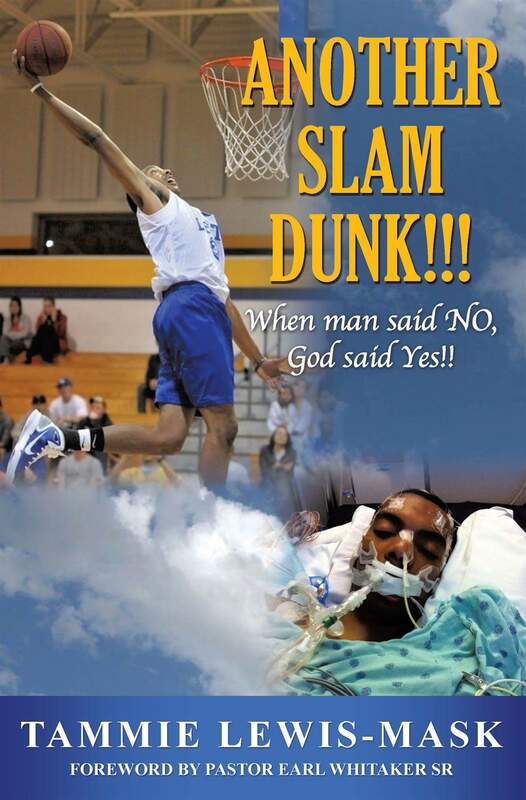 A book that was officially released in December and is available for purchase at Amazon.com, “Another Slam Dunk: When Man Said No, God Said Yes” recalls the horrific events surrounding what Mask had sensed was the final moments of Stephen’s life when he collapsed while playing the sport he loves and ultimately went lifeless. Surprisingly, after demonstrating unwavering faith, coupled with fervent prayers, Stephen was revived and managed to make a full recovery. Today, he’s enjoying a healthy, carefree life, and is widely regarded as a walking miracle for all the right reasons. 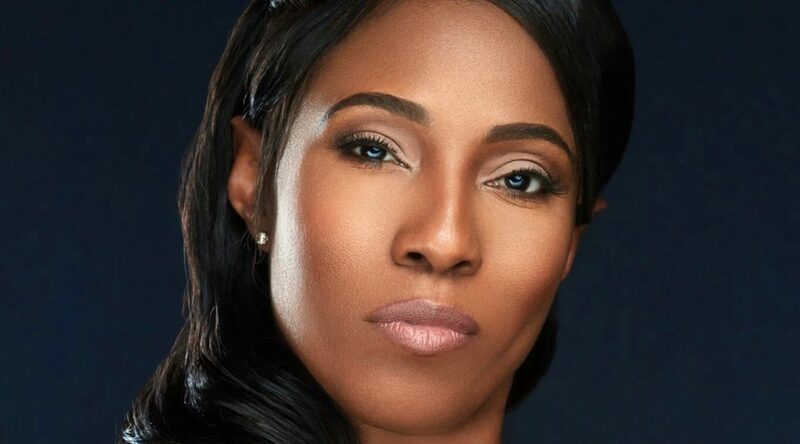 THERE’S MORE — Moreover, Tammie Mask’s books deals in part on the importance of first responders, good Samaritans, and the need to educate our youth on how to execute effective CPR. 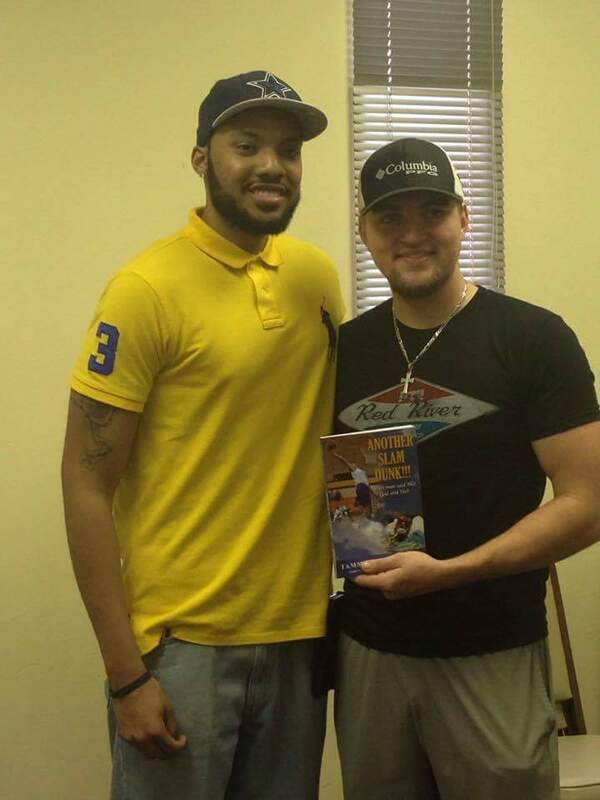 Moreover, Tammie Mask’s book deals in part on the importance of first responders, good Samaritans, and the need to educate our youth on how to execute effective CPR. 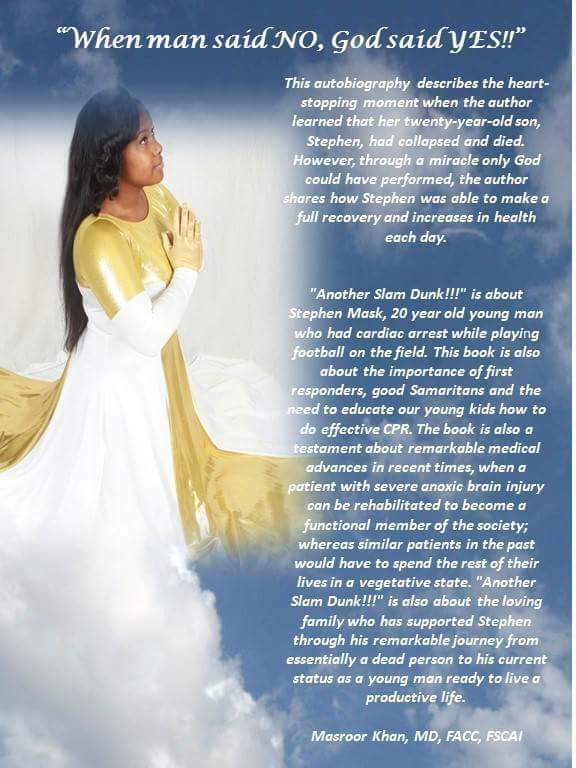 “The book is also a testament about remarkable medical advances in recent times when a patient with severe anoxic brain injury can be rehabilitated to become a functional member of the society, whereas similar patients in the past would have to spend the rest of their lives in a vegetative state,” Tammie Mask explained in great details on her Amazon.com page. For the record, he already is. For the record, he’s doing just that. That’s because nothing, as she said, is impossible for God. For the record, try asking Stephen, who’s responsible for perfectly executing a life-changing slam dunk for the ages. 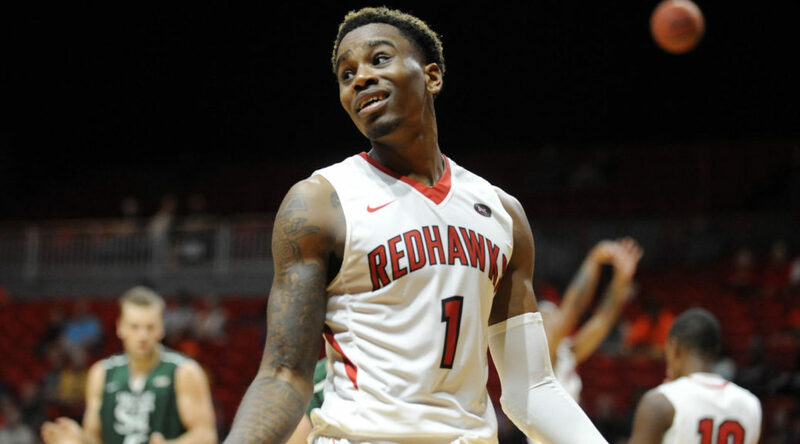 Antonius Cleveland insists that it will be just like any other day. 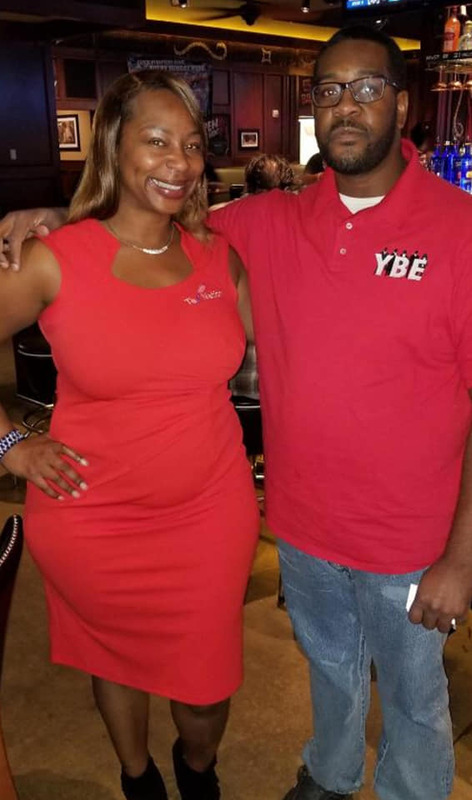 Not to mention a rather emotional, tear-jerking occasion orchestrated by his mother, Shonda Bowie, who is expected to bring a busload of family members, close friends, and well-wishers from Memphis as they witness her son play for the final time at SEMO’s Show Me Center. 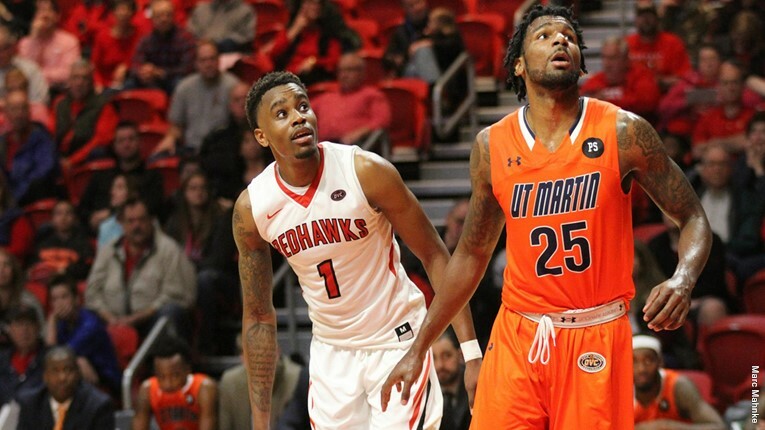 HOOP DREAMS — Besides his dazzling athleticism and remarkable leaping ability, Cleveland (left) boasts an efficient all-around game, considering he leads the Redhawks in scoring (17.0 per game), field goal percentage (.054), and minutes played (32.9 per game). 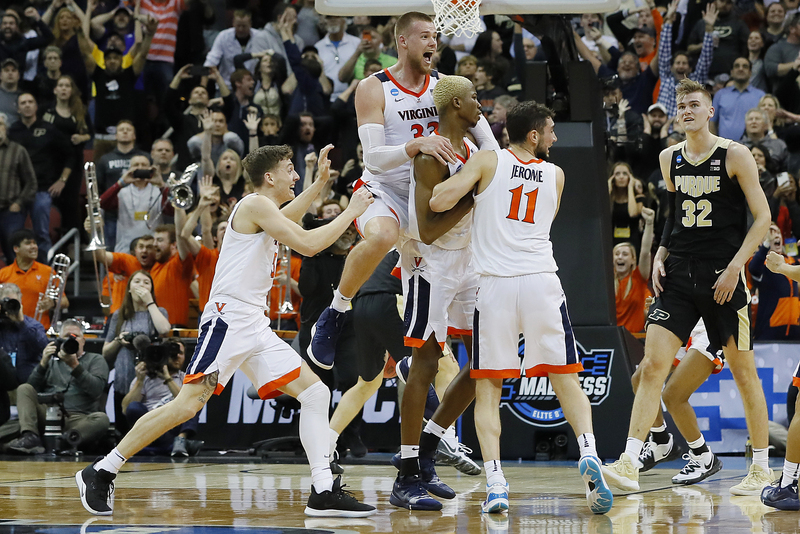 Add to the fact that 6-foot-6, 188-pound swingman has managed to draw the attention of pro scouts, and it’s no wonder the possibility exists that this mid-major standout could very well find himself auditioning for an NBA roster spot in the foreseeable future. (Photo by Andrew Whitaket/SEMOBall.com). While there is still a lot of basketball to play for the Redhawks (13-16, 8-6 in the Ohio Valley Conference), who are aiming to end a 17-year NCAA Tournament drought, Saturday figures to be a day of remembrance — and reflection — for Cleveland, one of SEMO’s four seniors and the team’s featured player who’s making a strong case that he could perform on basketball’s grandest stage in the coming months — the NBA. Having arrived on campus as a true freshman after a successful prep stint at Faith Baptist Christian Academy in Ludowici, Georgia, Cleveland is a four-year starter who has proven to be as good as advertised. 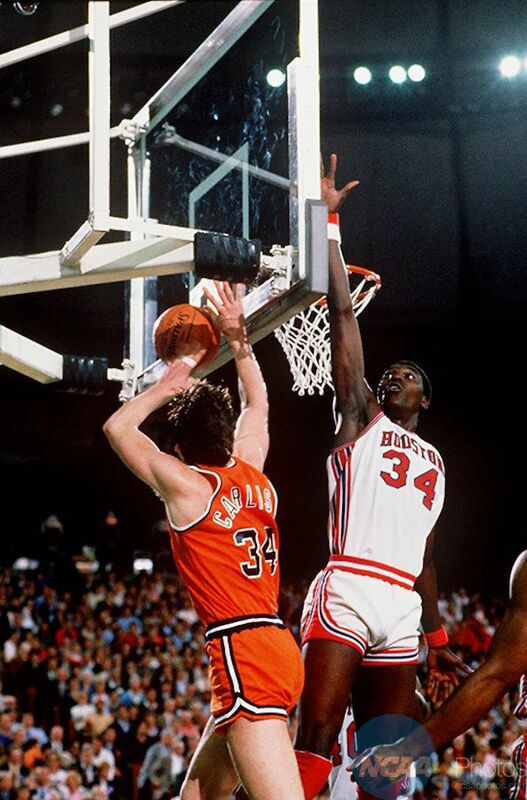 Besides his dazzling athleticism and remarkable leaping ability, Cleveland boasts an efficient all-around game, considering he leads the Redhawks in scoring (17.0 per game), field goal percentage (.054), and minutes played (32.9 per game). AIR ANTONIUS — To his credit, Cleveland certain has been dubbed one of college basketball’s best dunkers. 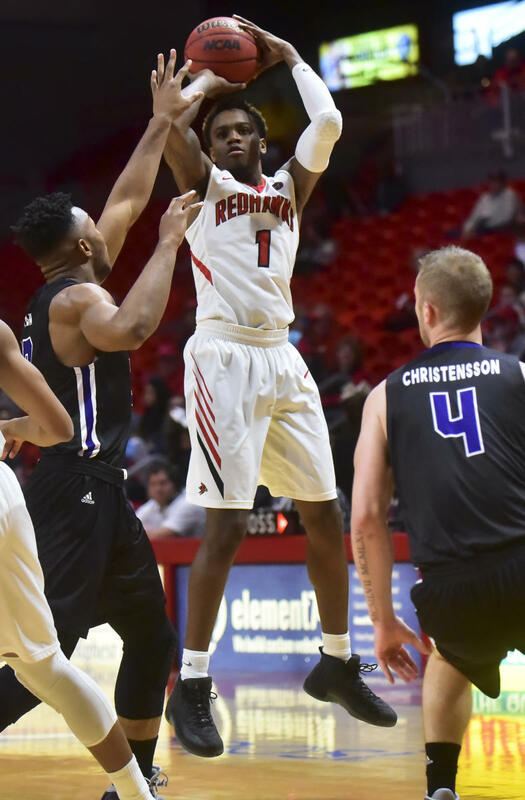 Last week, SEMO announced that Cleveland is among 16 finalists for the 2017 Dark Horse Dunker competition and that he is in the running to compete in the State Farm College Slam Dunk Championship Final Four weekend in Phoenix. (Photo by Glenn Landberg/SEMOBall.com). 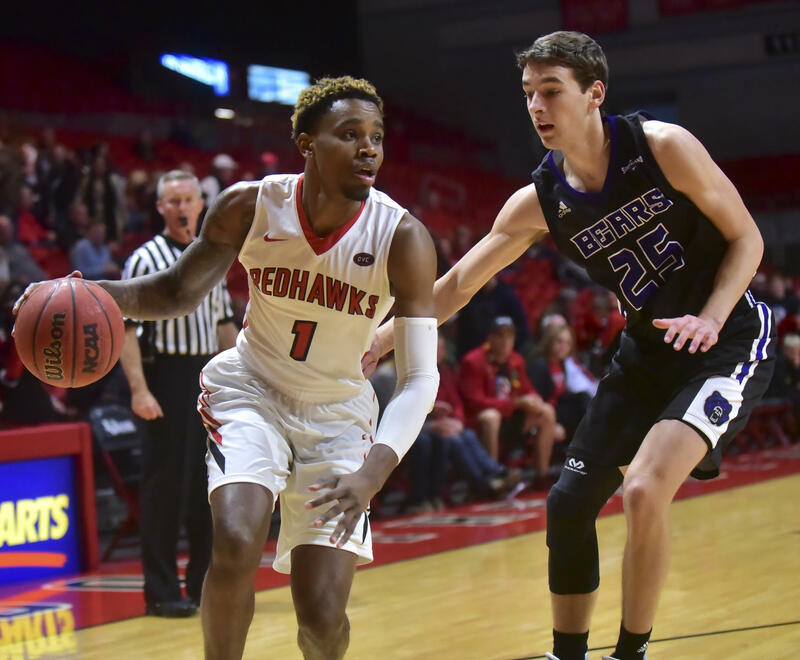 Add to the fact that 6-foot-6, 188-pound swingman has managed to attract the attention of several pro scouts while appearing in each of SEMO’s 29 games, and it’s no wonder the possibility exists that this mid-major standout could very well find himself auditioning for an NBA roster spot in the foreseeable future. According to DraftExpress.com, Cleveland is ranked amongst the nation’s top 15 seniors and is rated No. 99 amongst the top 100 prospects, which means if the NBA Draft took place today, the 23-year Cleveland would, in all likelihood, sign as an unrestricted free agent. 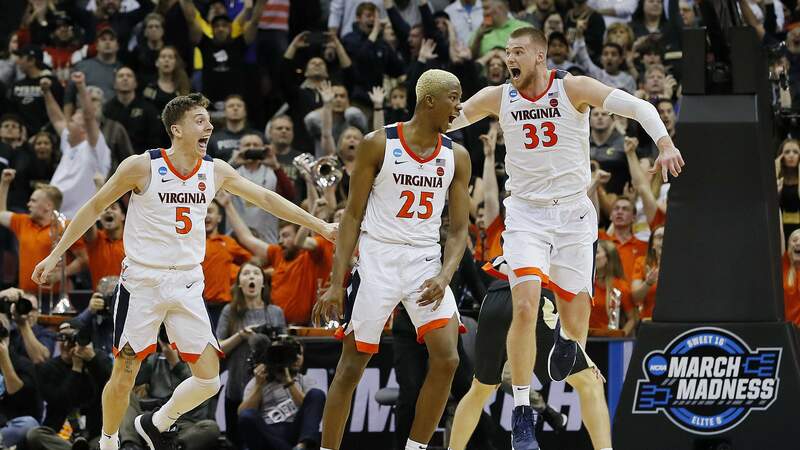 All things considered, what is extremely pivotal for Cleveland at this point is to earn an invite to the Portsmouth Invitational Tournament April 12-15 in Portsmouth, Virginia. 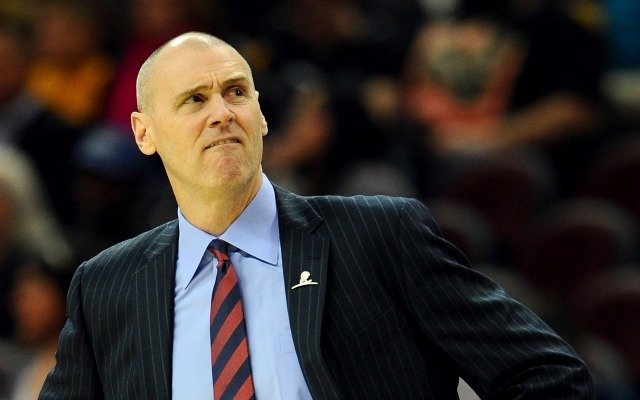 While his chances appear favorable, Cleveland contends that isn’t his primary focus. To his credit, Cleveland certainly has been dubbed one of college basketball’s best dunkers. 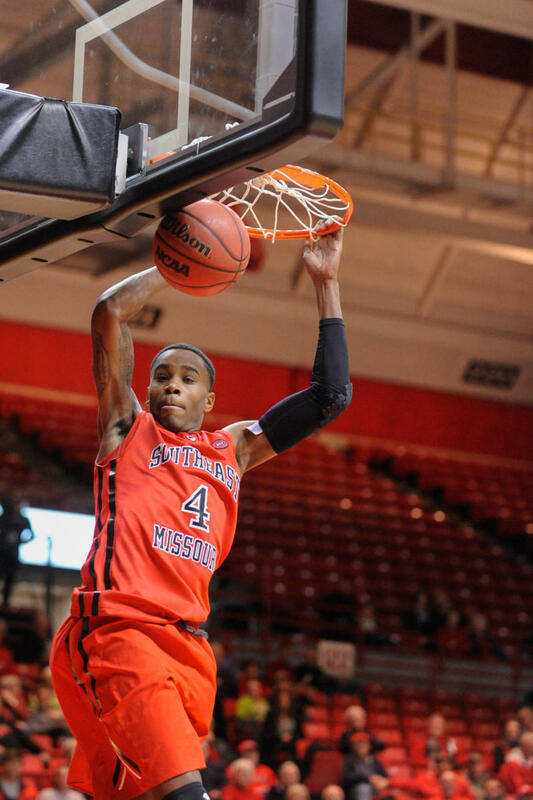 Last week, SEMO announced that Cleveland is among 16 finalists for the 2017 Dark Horse Dunker competition and that he is in the running to compete in the State Farm College Slam Dunk Championship Final Four weekend in Phoenix. The mostly soft-spoken Cleveland, who was informed this week that he has advanced to the round of eight, seemed somewhat surprised by the news. 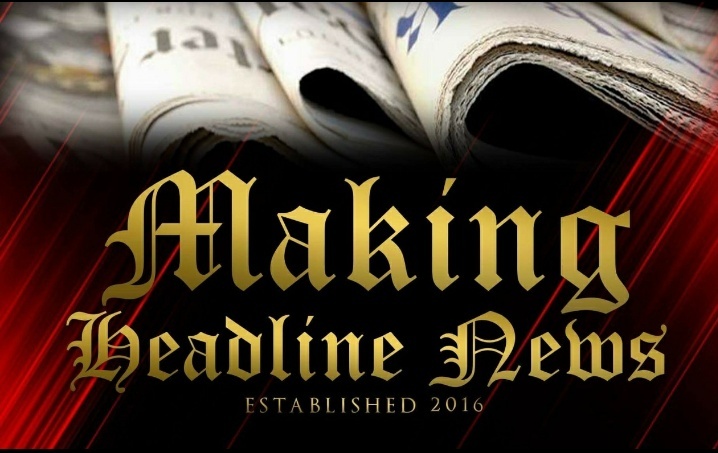 As for increasing his NBA stock, Cleveland, who isn’t listing among the 60 picks in NBADraft.net’s latest mock draft that was released on February 16, said the Redhawks earning an automatic berth to the NCAA Tournament essentially could allow him to generate more exposure as a legitimate mid-major prospect. Much like the gallery that will be making the 2 1/2-hour trip from Memphis to Cape Girardeau, Missouri to witness him play for his final home game.